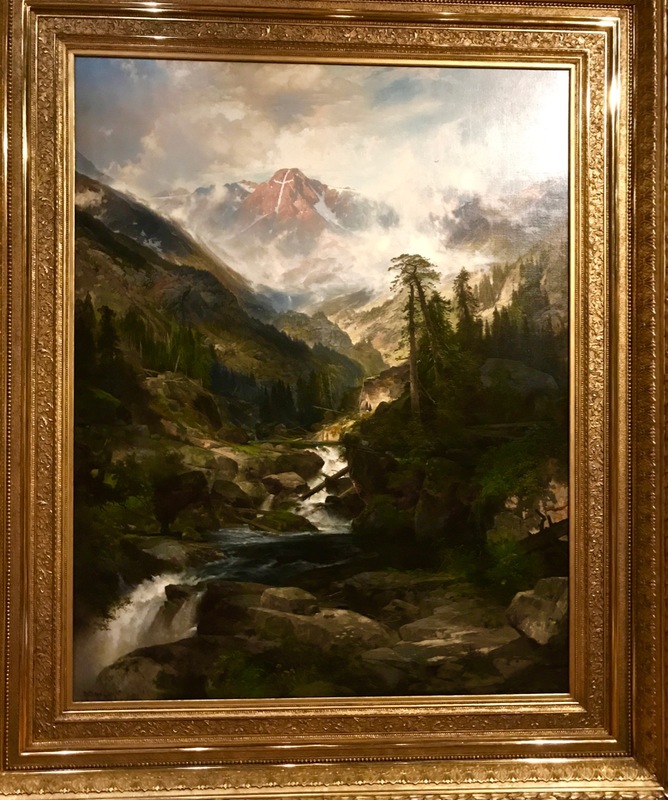 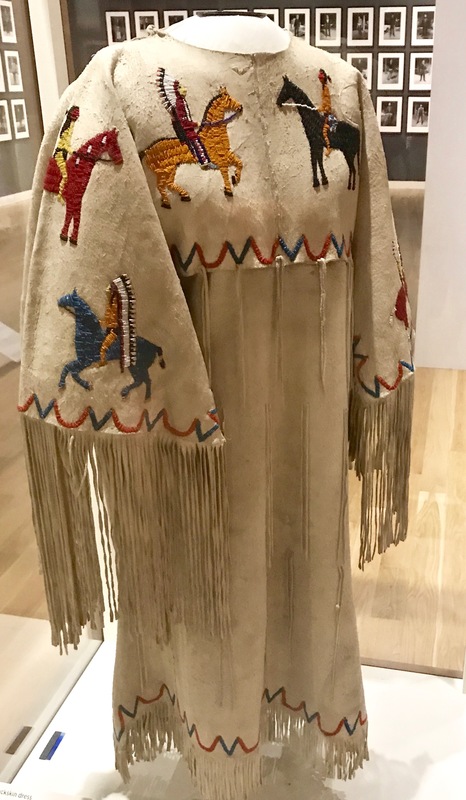 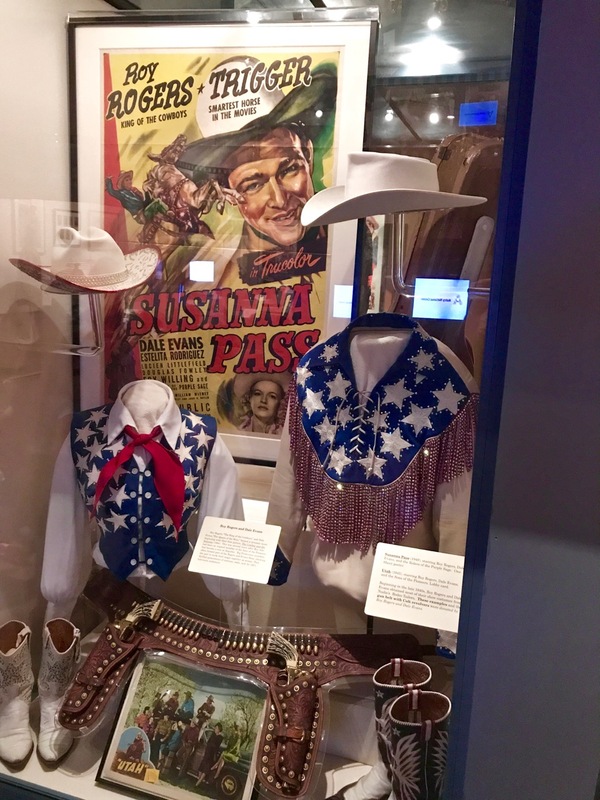 Four years ago, Tracy and I visited the Autry Museum of the American West (then called the Autry Museum National Center) in Griffith Park, but before I could write anything about it, the museum closed for a huge renovation project. 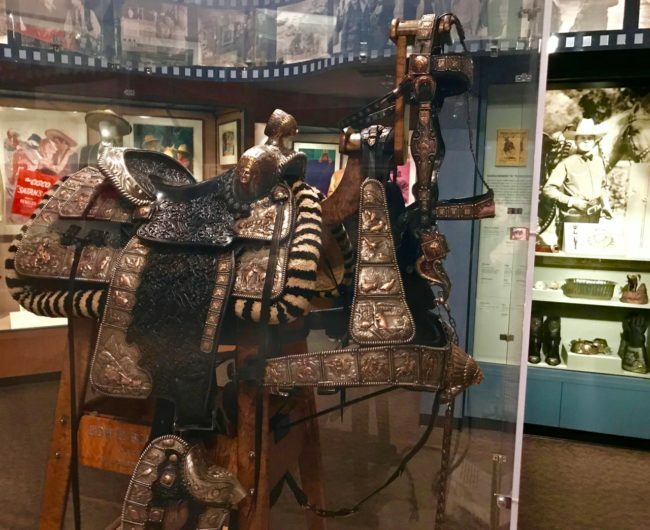 Now that’s it is up and galloping again, I got back in the saddle (foreshadowing alert) again and hoofed it over to the museum, located in famed Griffith Park, across from the Los Angeles Zoo. 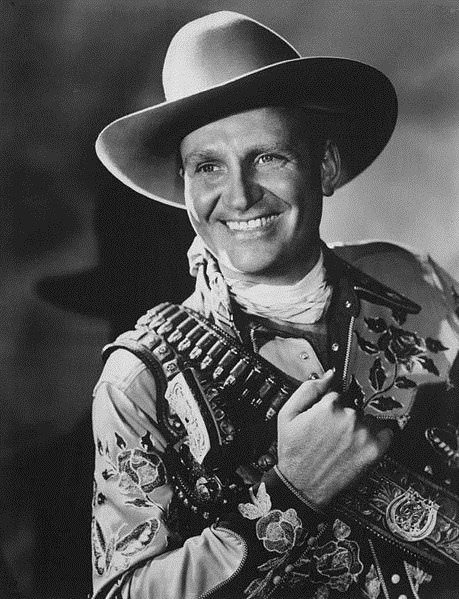 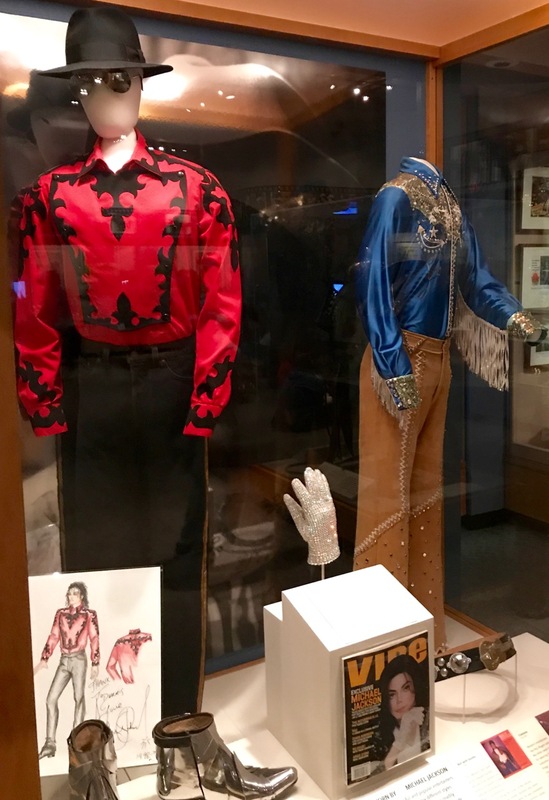 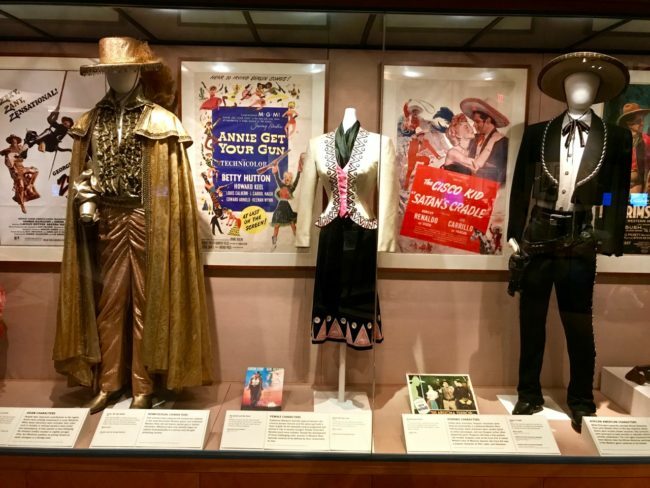 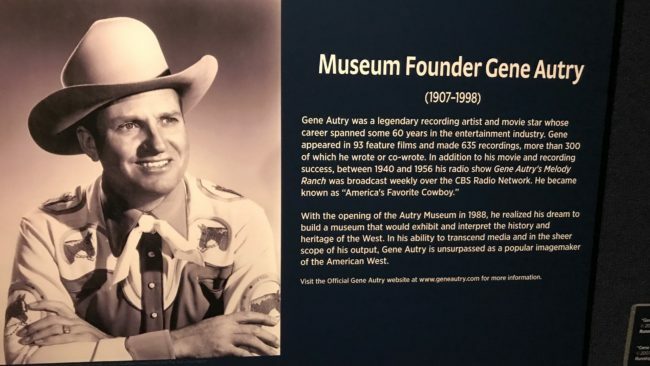 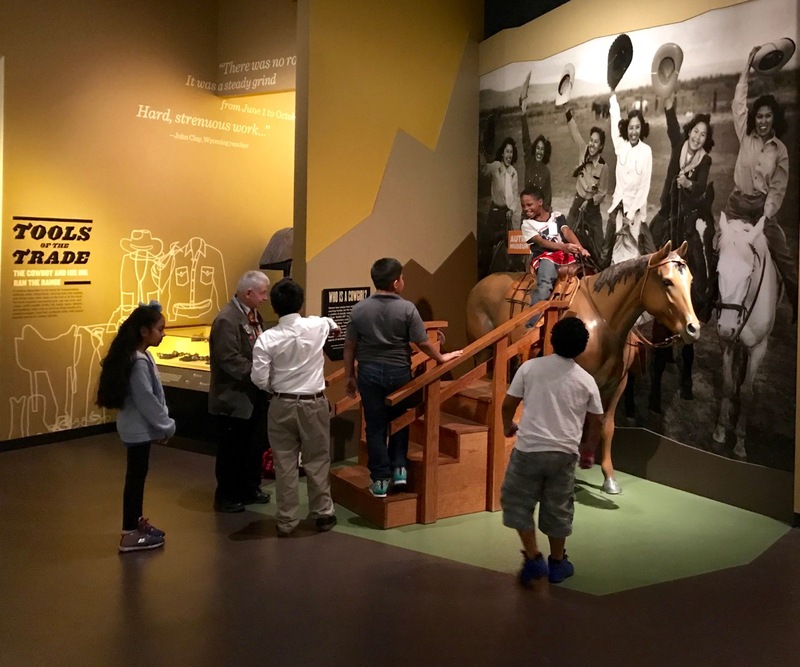 The museum was founded by Jackie and Gene Autry (the Singing Cowboy) along with Joanne and Monty Hale, who was another western film star and musician. Autry’s dream was to “build a museum which would exhibit and interpret the heritage of the West and show how it influenced America and the world.” There have been disputes (the Autry merged with the Southwest Museum of the American Indian, which resulted in acrimony), and the museum was once on the verge of financial insolvency, but it has survived and now hosts about 150,000 visitors a year. For those who might not know Autry’s background, in a nutshell, he appeared in 93 feature films and made 635 recordings, more than 300 of which he wrote or co-wrote. 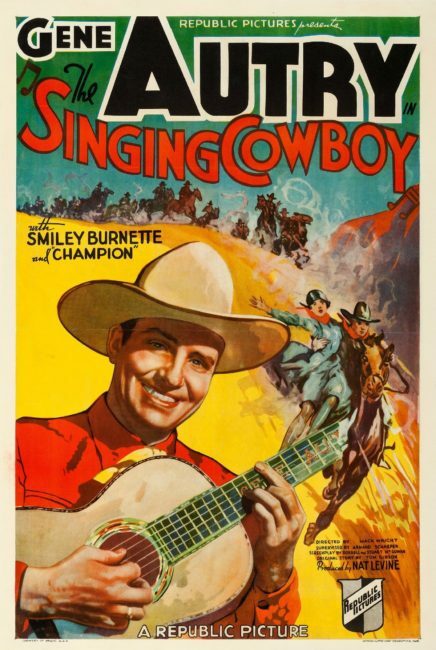 Labeled “America’s Favorite Singing Cowboy,” according to the website, “he is the only entertainer to have five stars on Hollywood’s Walk of Fame: one each for radio, records, film, television and live theatrical performance (including rodeo).” He was also the owner of the Los Angeles/California Angels baseball team (they change their name every few years to confuse fans and make you have to buy new sports gear). 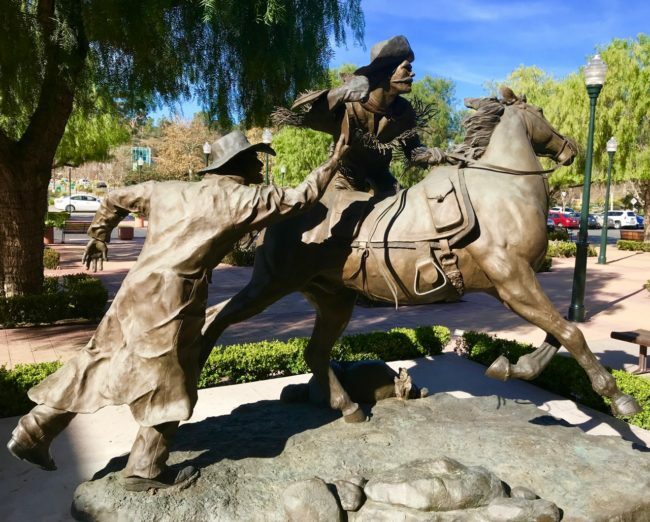 Tracy and I pass by the exterior of the Autry often when we walk Frankie and Remi around the nearby Griffith Park Golf Course. 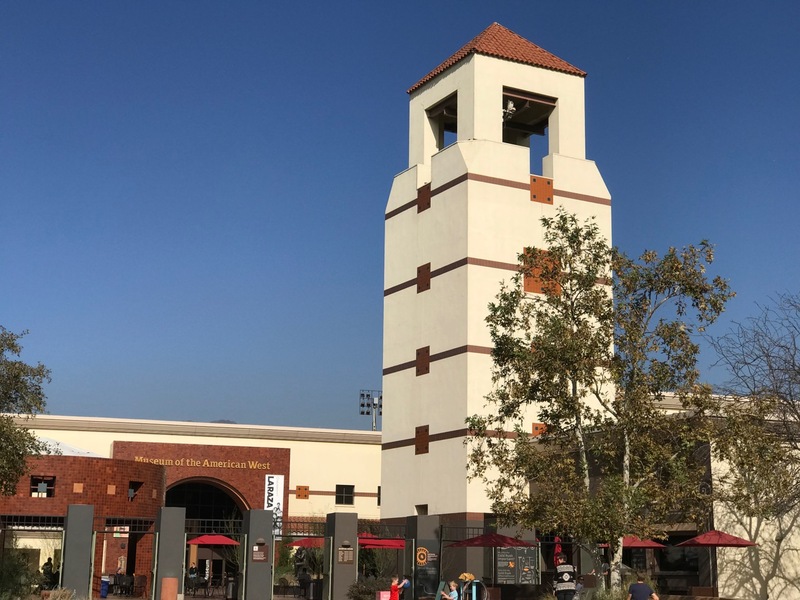 The tower and tile roof suggest a Spanish Revival style. 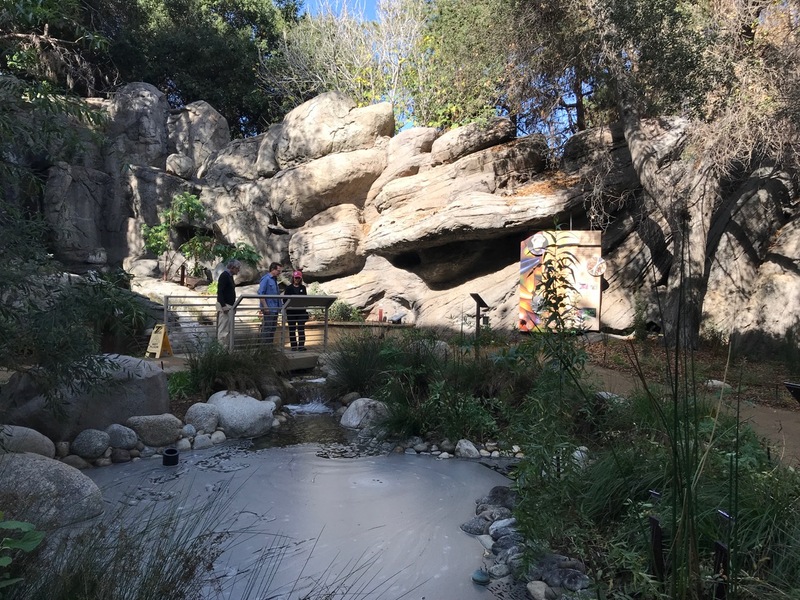 On a beautiful January weekday, I visited without Tracy and the corgis (she had to work; they had to sleep). 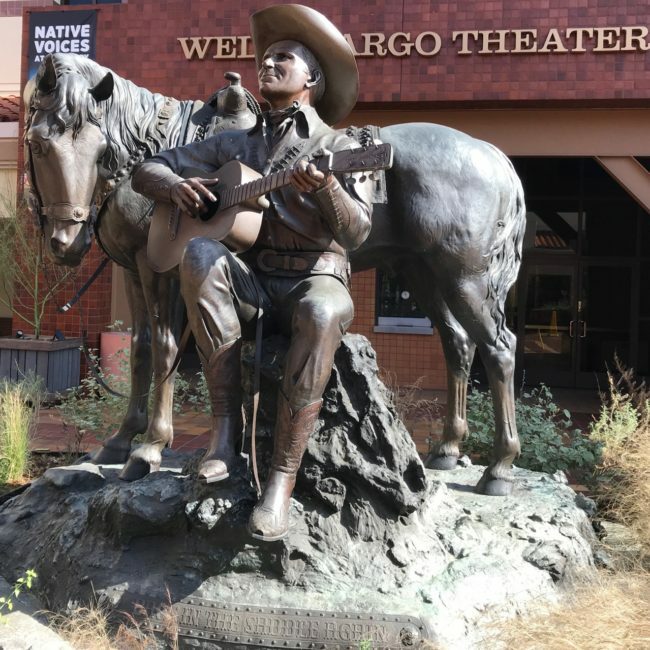 Before entering I checked out the sculptures scattered around the outside of the premises. 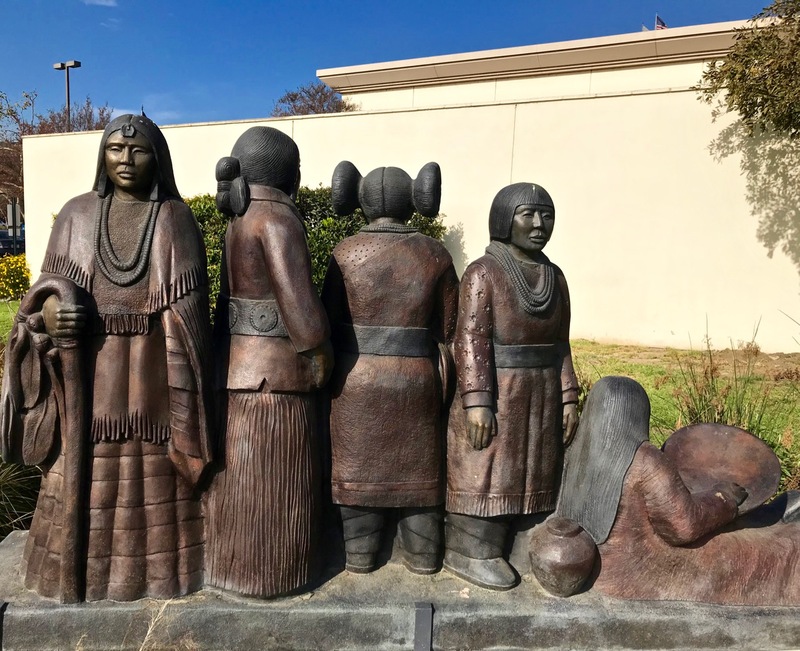 The first sculpture is one we’ve seen many times (on our hikes around the golf course) near the side entrance featuring five Native American figures. 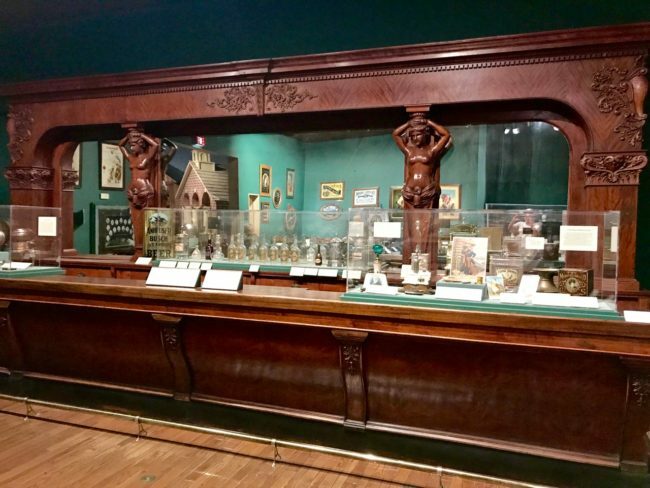 I couldn’t find any info at the museum or online when I got home, which triggered my obsessive compulsion gene. Now the darned sculpture became a quest. 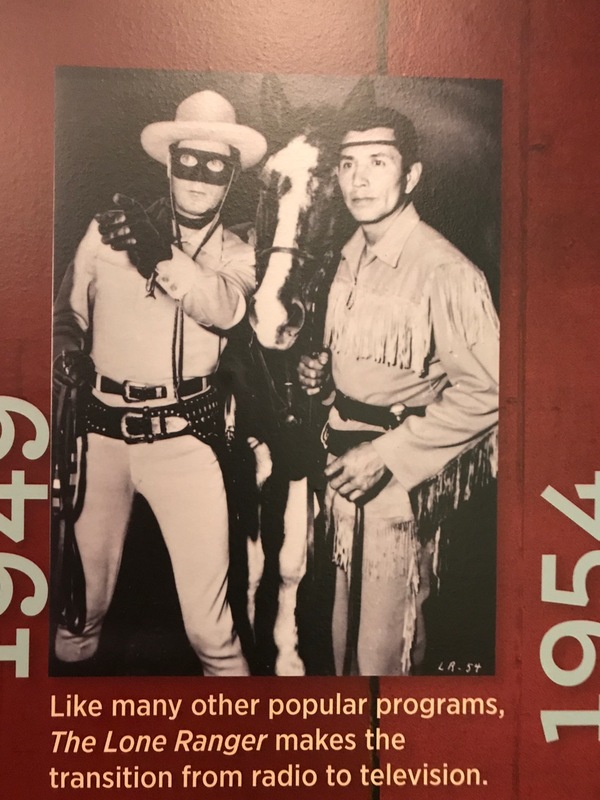 A few days ago I returned to the Autry Museum to see if I missed a marker. Not finding one, I could not be deterred from finding out something abut that sculpture. I walked to the front desk, talked to the personable woman there and after thumbing through a binder, she found a one-sheet on it. 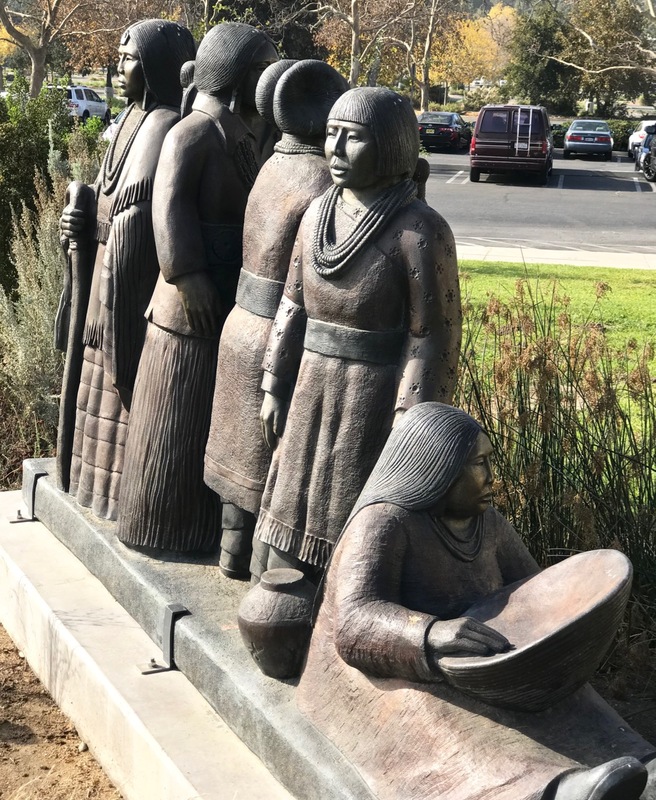 Doug Hyde’s Tribal Gathering sculpture “represents a gathering of five woman from various tribes … from left: Apache, Diné (Navajo), Hopi, Pueblo and Pima … across the Southwest … which represent diversity within the Native American community.” I can now go on without losing sleep. 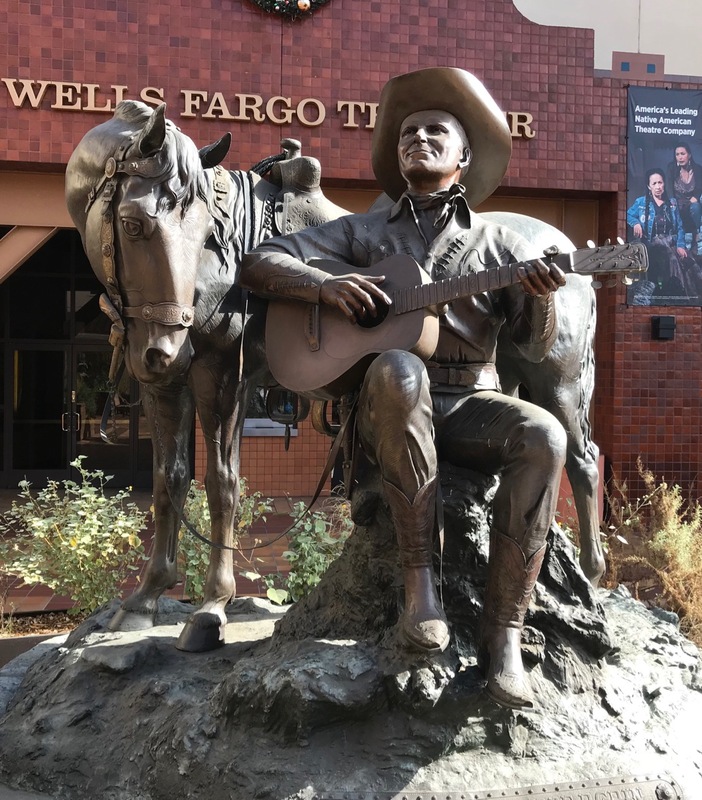 At the main entrance, I spied Special Delivery, a sculpture by Douglas Van Howd that depicts the moment when Pony Express riders carried Lincoln’s inaugural address from a telegraph station in Nebraska to newspapers in California. 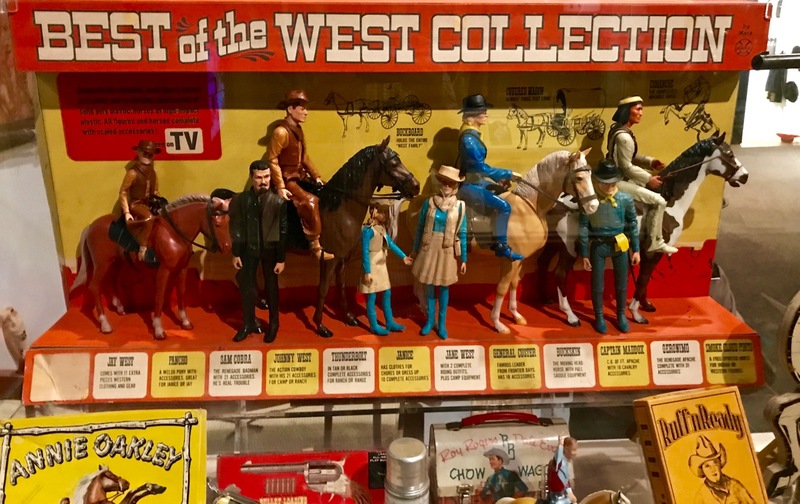 I was surprised to see that the famed mail delivery service only existed for 18 months, but I bet those riders had many pony tales to tell. One last sculpture I viewed before entering is in the Museum Plaza (central courtyard). Back In The Saddle Again was created by David Spellerberg, and it depicts The Singing Cowboy alongside his horse Champion. 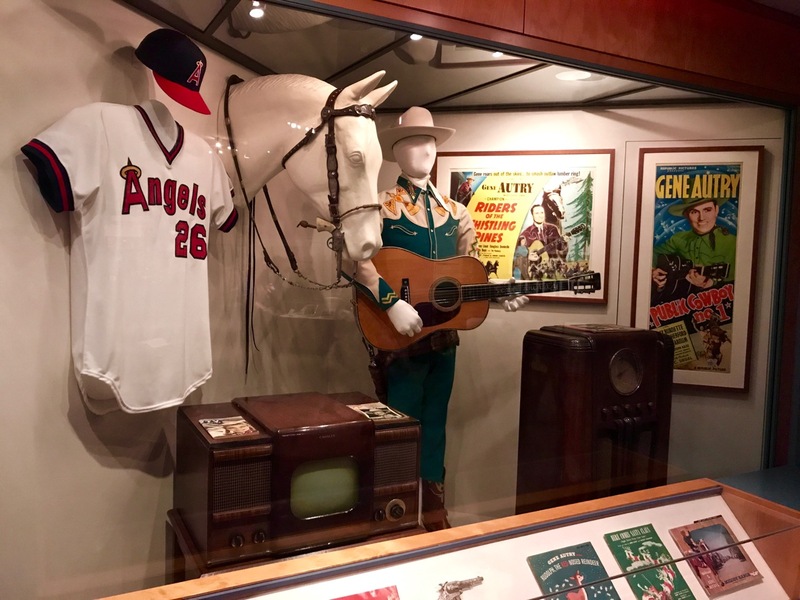 Sadly, the Angels were never champions during Autry’s lifetime. 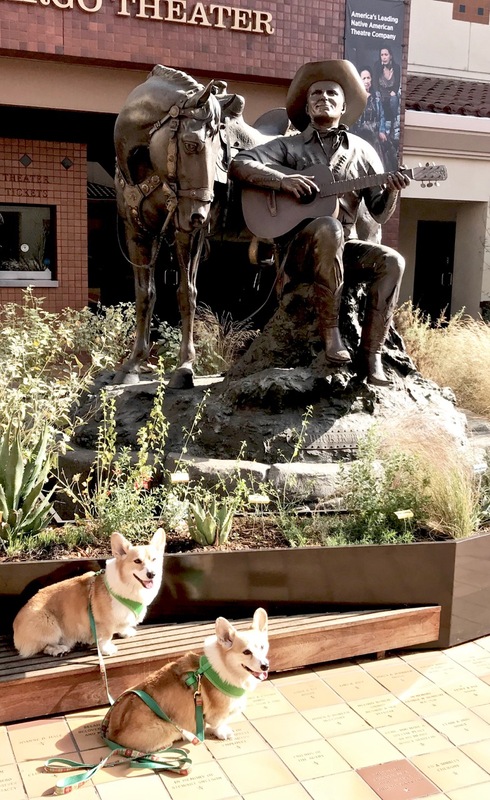 The corgis enjoy stopping by on their walks. 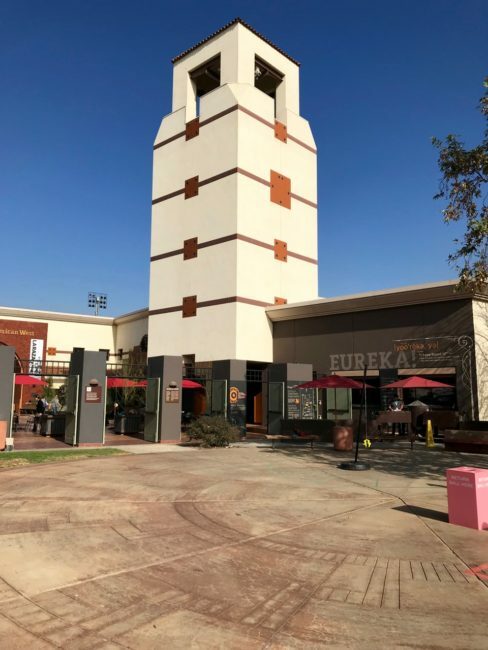 Walking inside I had a senior moment … literally. 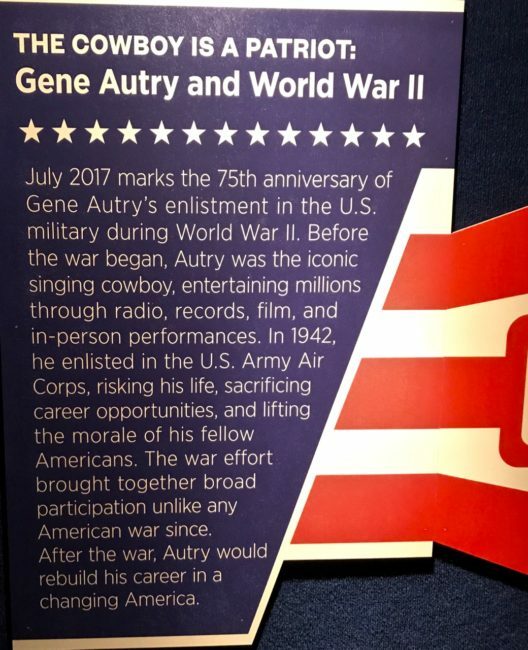 I purchased a discounted ticket ($12.50 instead of usual $14 price). 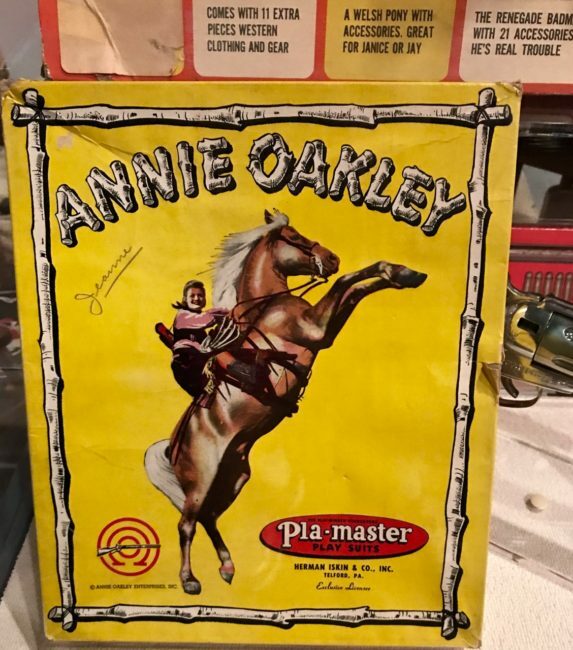 That made me happy until I read further that the senior price was only $10. They were very accommodating and refunded my first payment, so overall I saved four bucks. 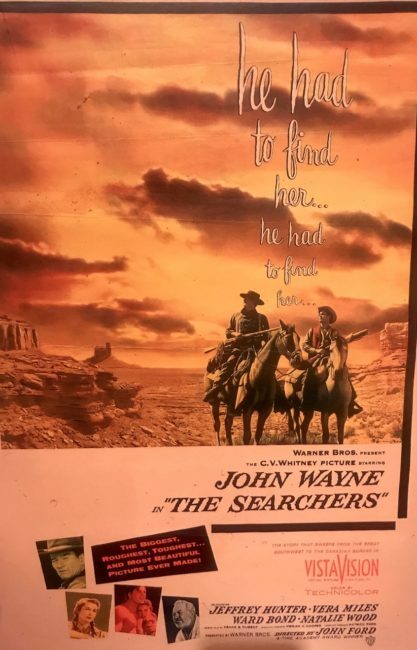 Sometimes it pays to be an old geezer. 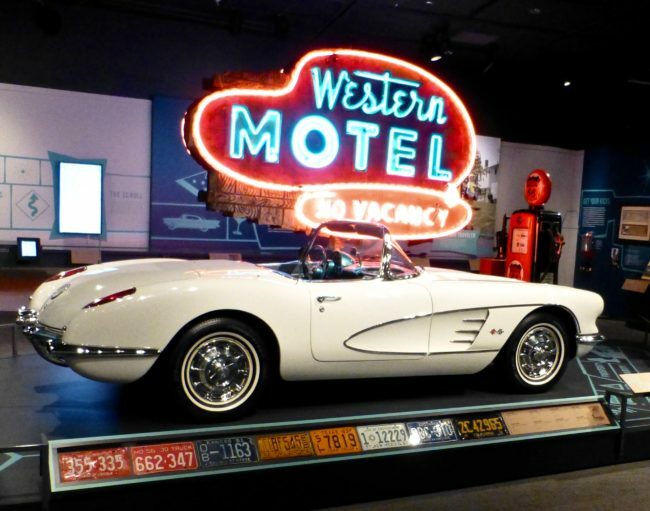 There always seems to be a special exhibition at the Autry (a few years back, I got my kicks visiting the Route 66 exhibition). 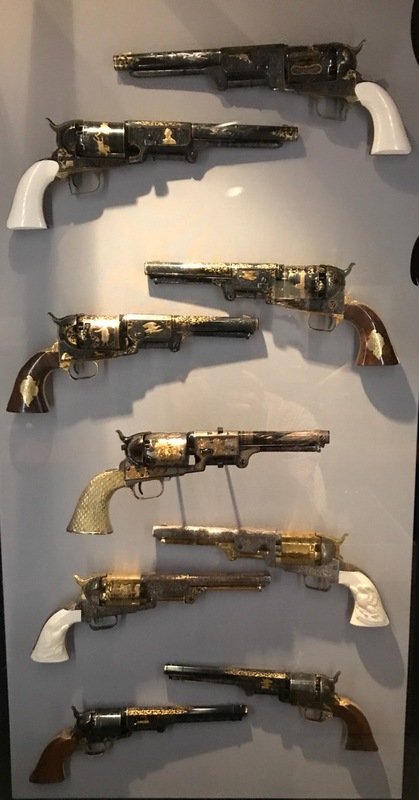 I stopped by to see what the recent exhibition held in store. 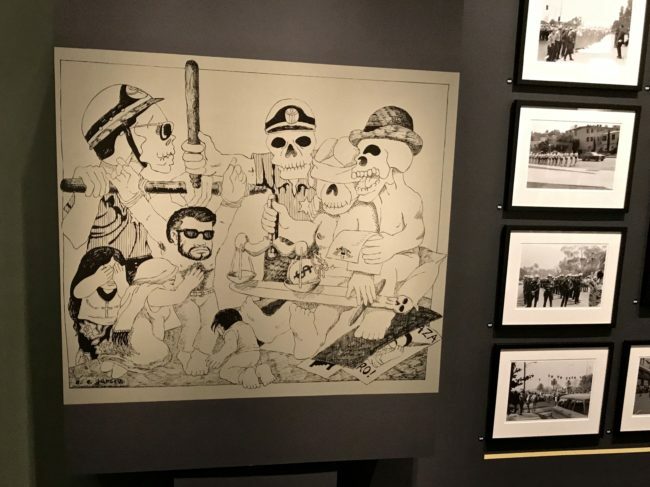 This special exhibition highlighted the photographic archive of La Raza, the Los Angeles newspaper central to the Chicano Rights Movement in the 1960s and 1970s. There was quite a bit about the killing of former Los Angeles Times reporter Ruben Salazar by the Los Angeles Police Department. 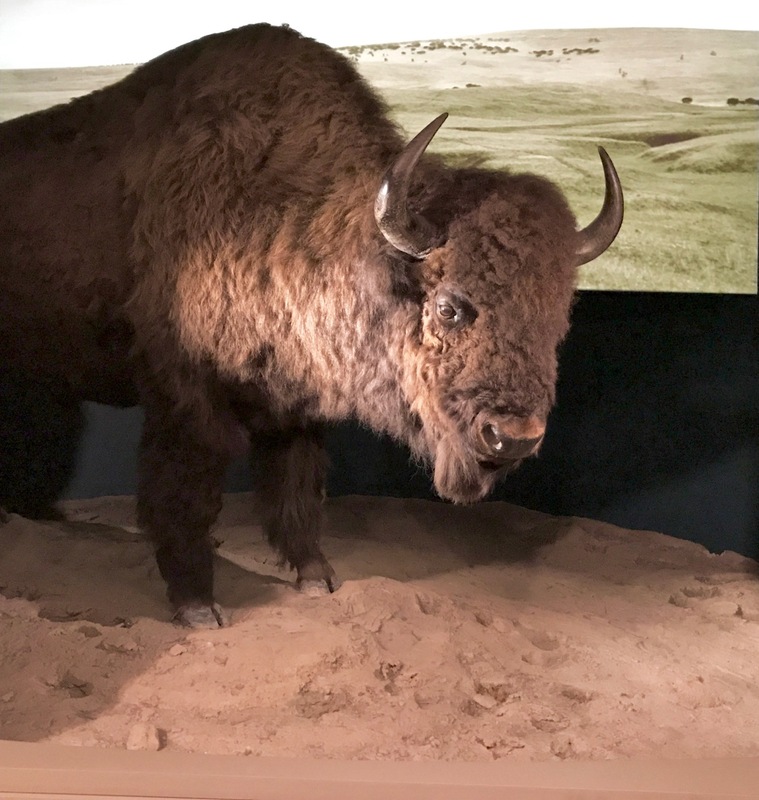 It was moving and informing, but no photos are allowed in the special exhibitions … except the ones I took at each event. 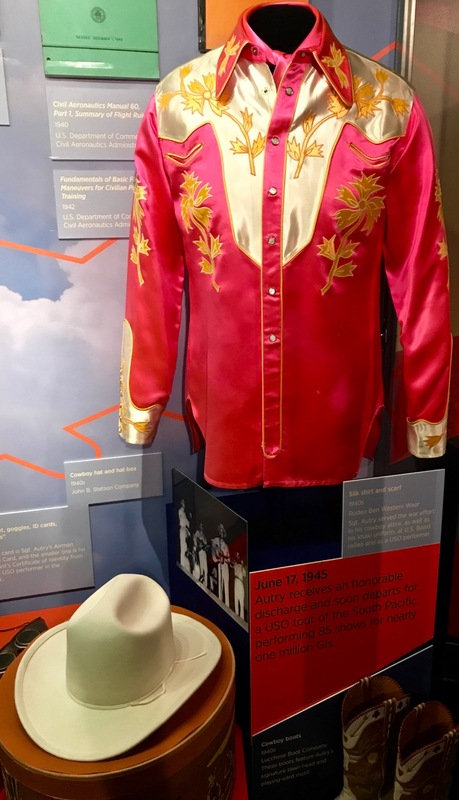 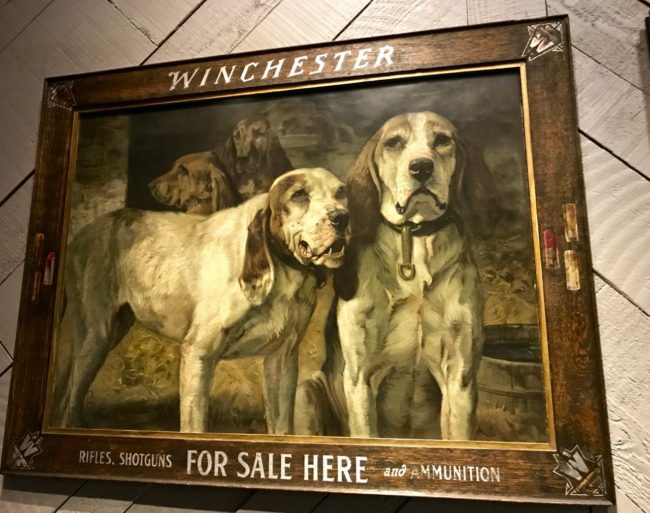 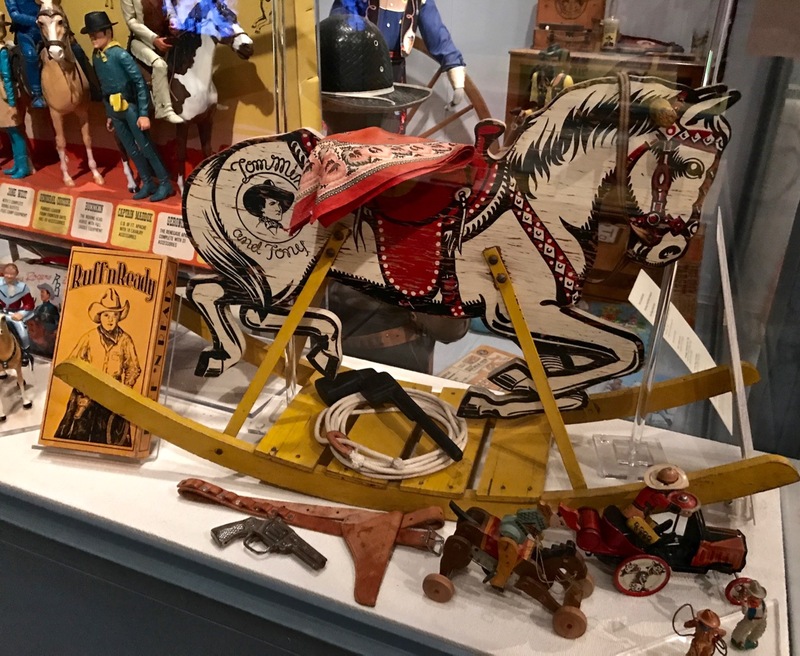 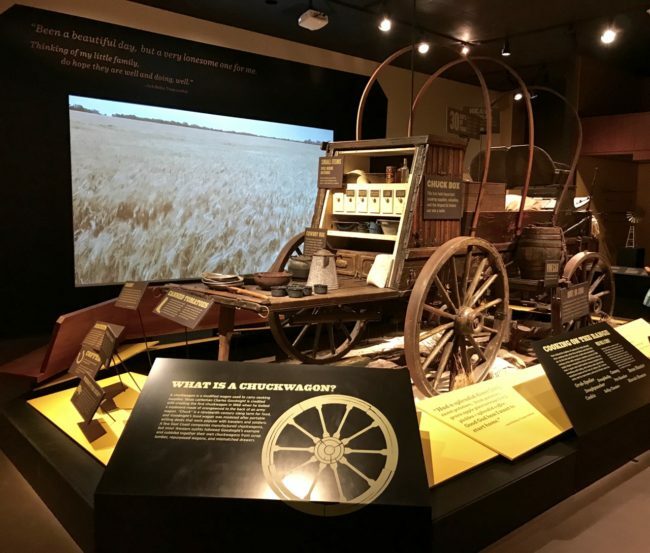 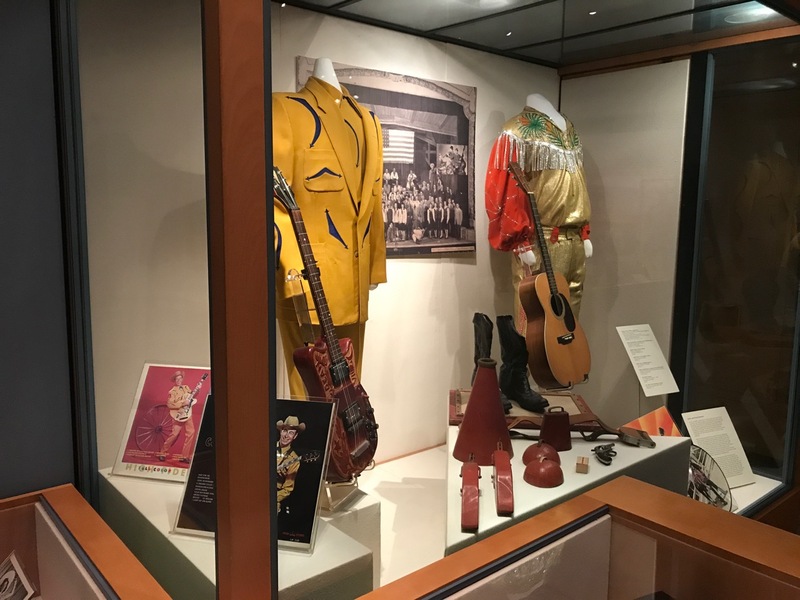 … skip the next main floor exhibit (I like to save the best for last) and wander downstairs through the rooms containing a number of pieces of western memorabilia and artifacts and finally check out their “new” garden before heading back upstairs. The first thing that caught my eye was not a piece of art, but something that could have you “head out on the highway lookin’ for adventure.” The 1948 Indian Chief Roadmaster Motorcycle was Harley-Davidson’s rival after World War II. 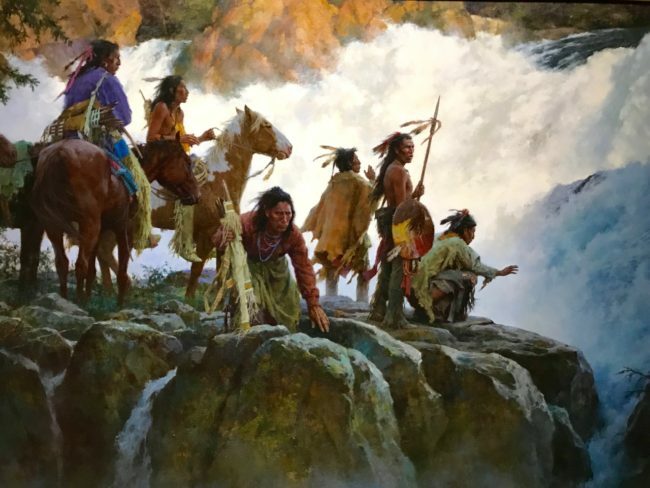 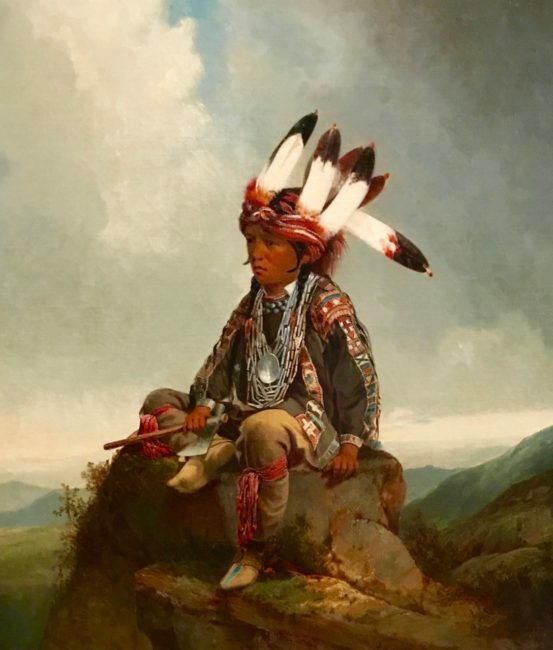 As far as art pieces, a couple I liked were The Forces Of Nature Humbles All Me, which features a group of Blackfoot riders (on horses, not choppers). 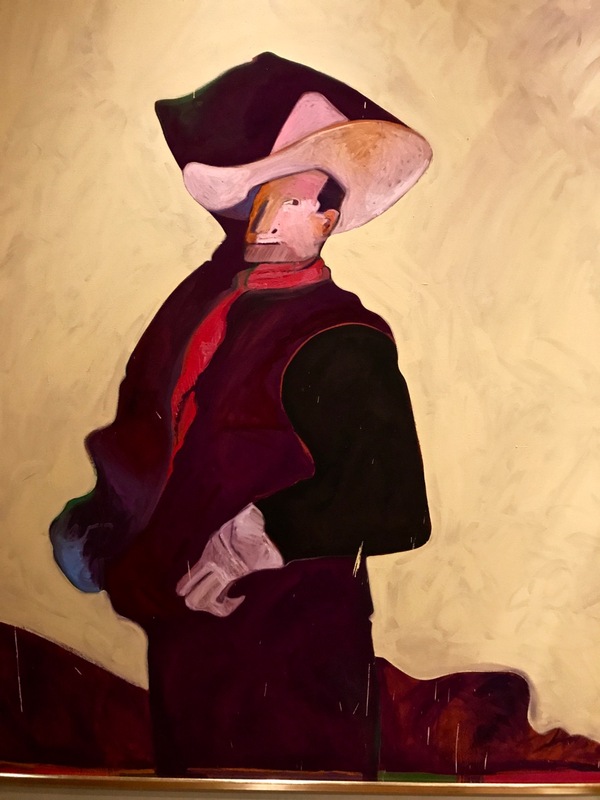 Fritz Scholder painted Matinee Cowboy (left), which depicts Autry’s co-owner Monty Hale, whose credits included The Man Who Shot Liberty Valance. 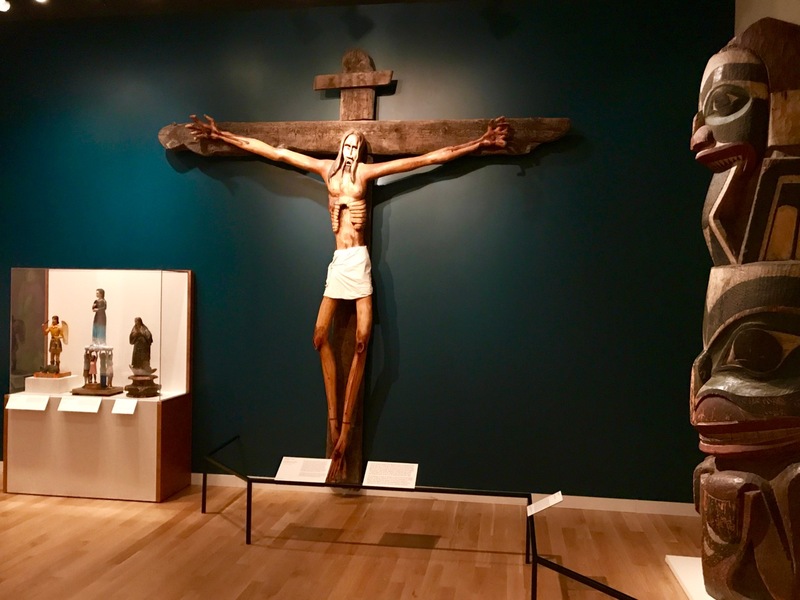 Tribes along the Northwest Coast such as the Haida and Tlinget created images such as these to trace their origins. 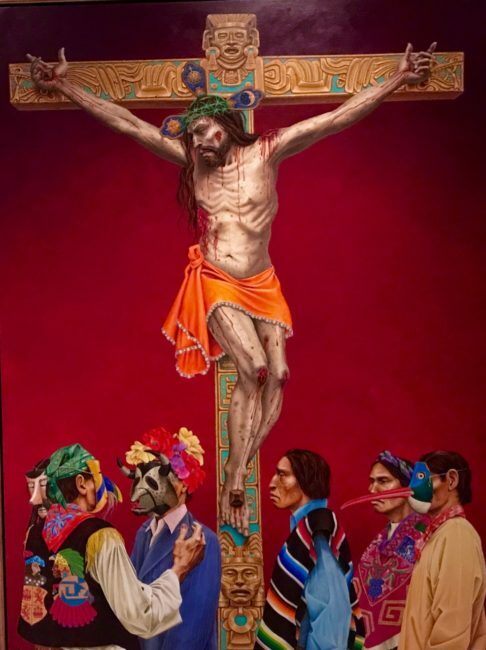 Prior to the Autry acquiring the large Crucufux (Christo), it sat in the artist’s (José Benjamín Lopez) front yard. Religion takes shape on the Spanish Colonial Carreta with a sacred heart on the grill and steering wheel, along with priest’s chairs for bucket seats. 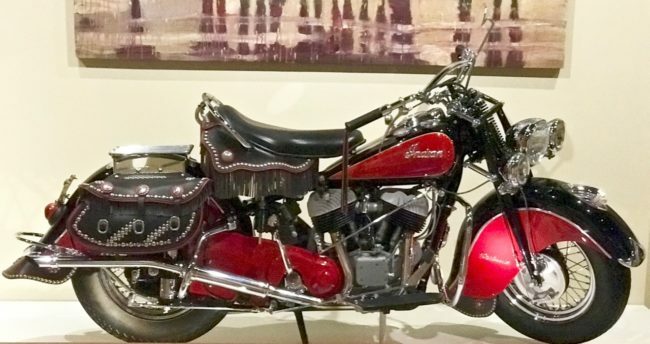 I immediately went into a quiet verse of Low Rider. 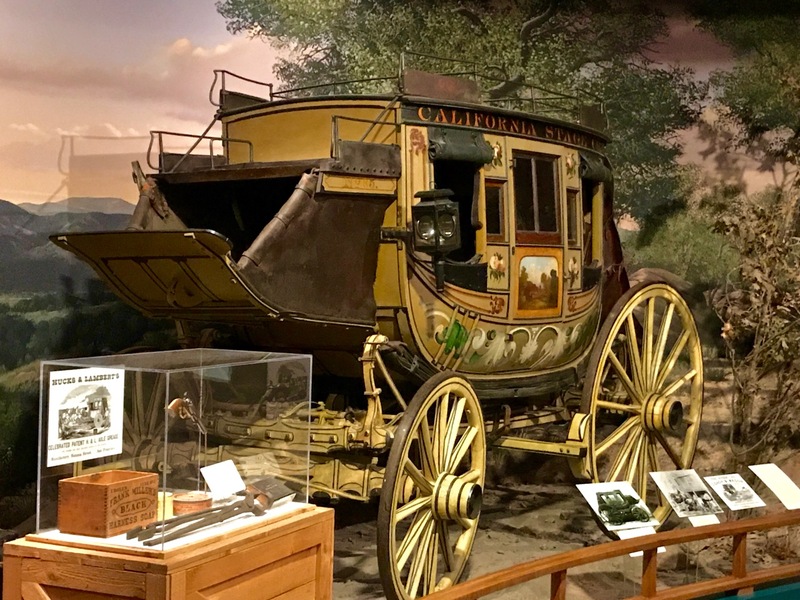 … in the California Historical Society Gallery. 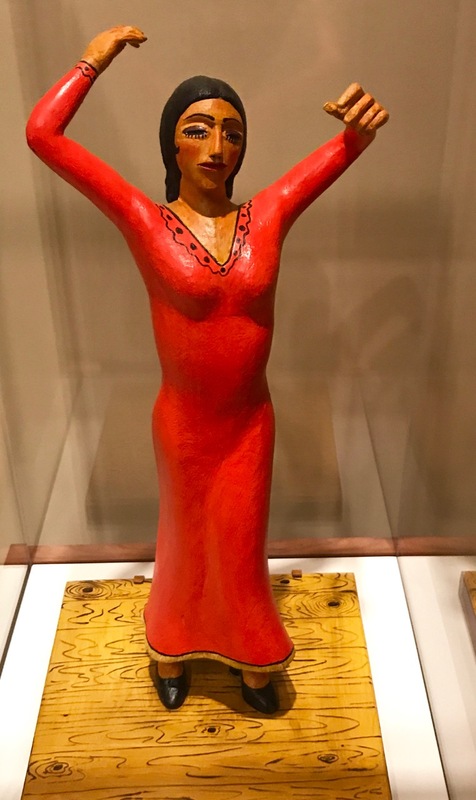 I was reminded that we forgot to see flamenco when we were in Spain by this Tribute to María Benítez, an American dancer, choreographer and director in Spanish dance and flamenco. She is well known for the work of the company she and husband Cecilio founded and directed, Teatro Flamenco. 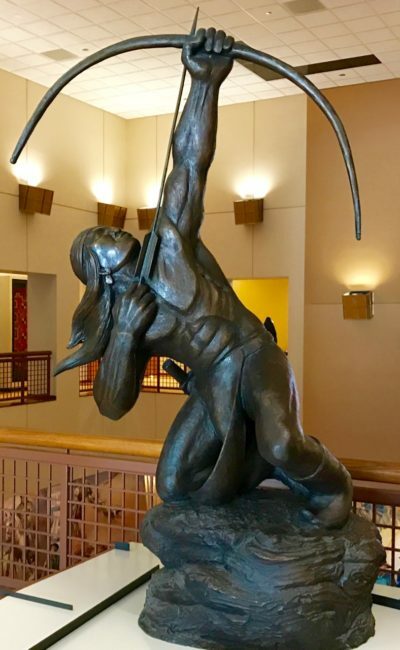 Before heading downstairs, on the landing is Allan Houser’s bronze Sacred Rain Arrow. 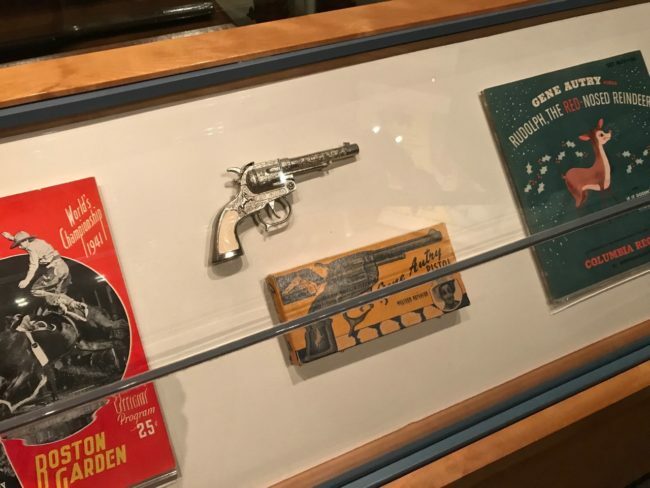 It fell to earth, I knew not where. 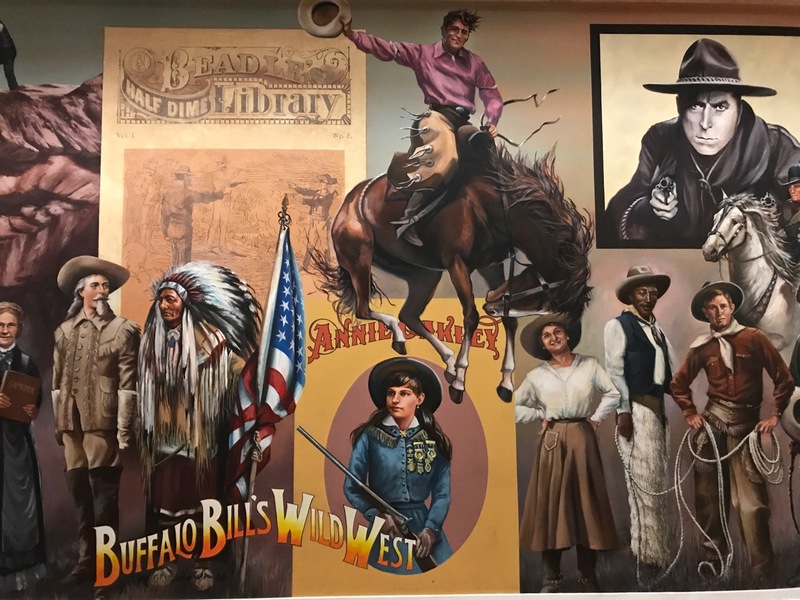 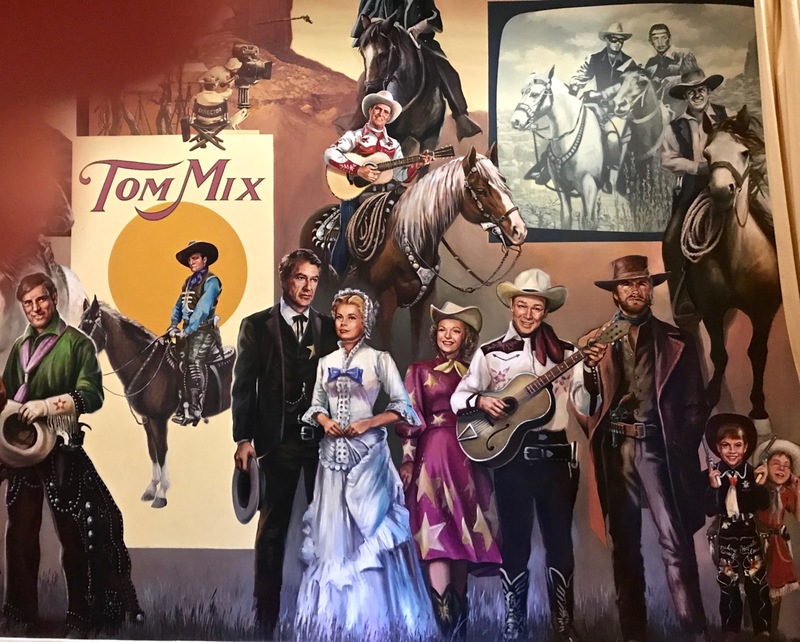 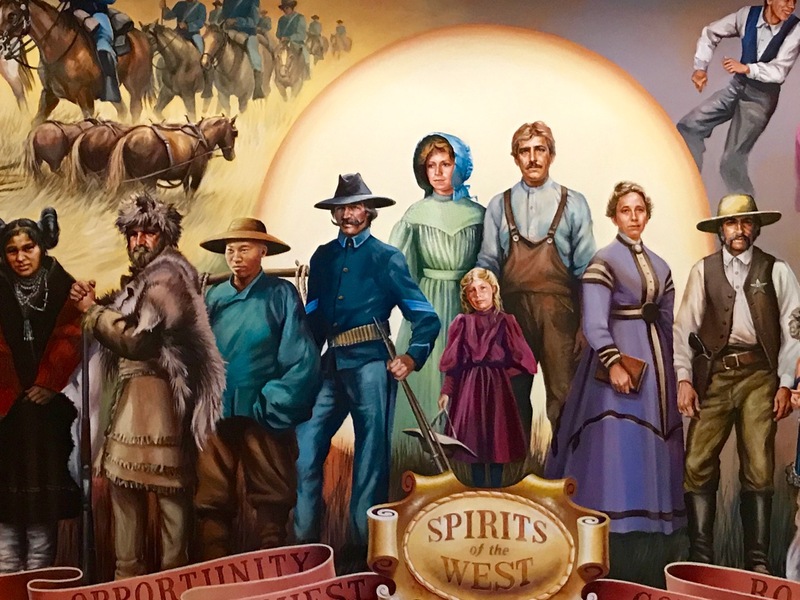 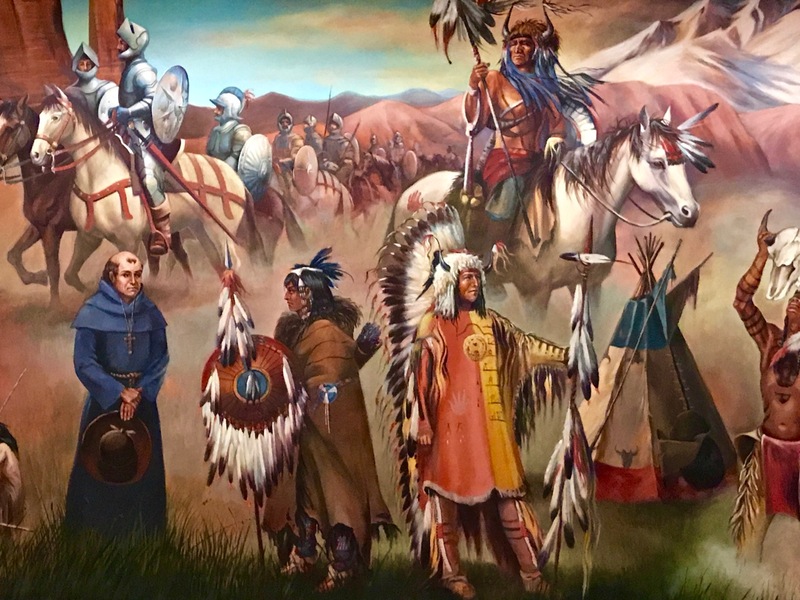 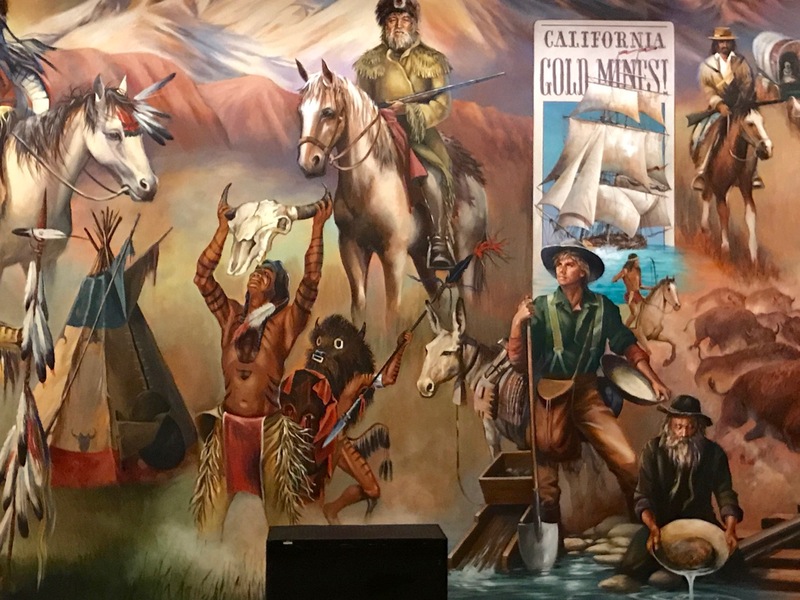 I trotted (carefully) on downstairs where I entered a large room with one huge mural, and it’s the real Deel because this 14‘ mural Spirits of the West was made by Guy Deel. 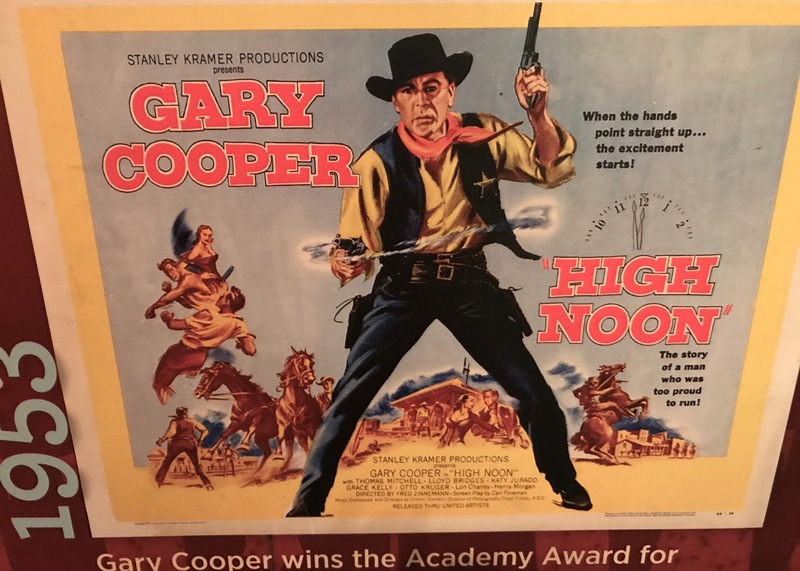 It’s very impressive, and there are some famous stars to be found like Tom Mix, Gary Cooper, Grace Kelly, Roy and Dale, The Lone Ranger and Tonto (Clayton Moore and Jay Silverheels) and, of course, a guy you really didn’t want to mess with, or Boot Hill might be your final resting spot. …and see the images up close. …and a there stood a very colorful mail stagecoach. 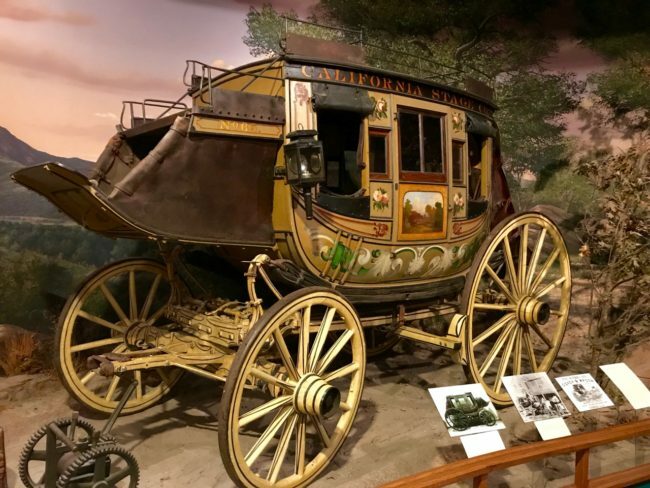 This stagecoach is from the mid 1850s and could hold nine passengers. The nearby sign said this coach was probably used in Northern California’s Gold Country. 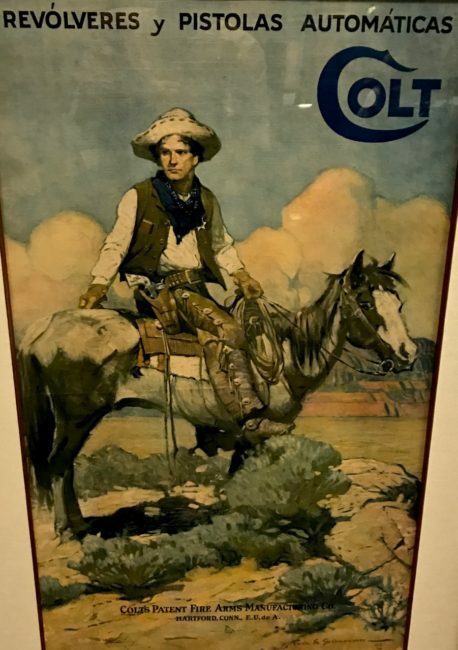 As the sign says, “For security, riders were provided with Colt revolvers. 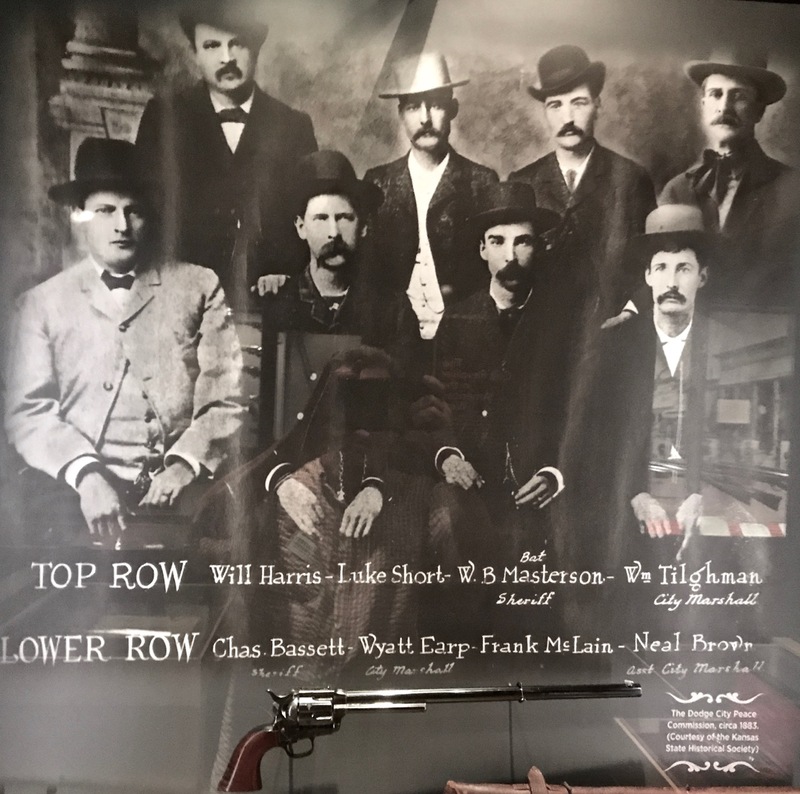 The firm of Russell, Majors and Waddell also gave each other a bible, for a different kind of protection.” I don’t think I’d have had a prayer. 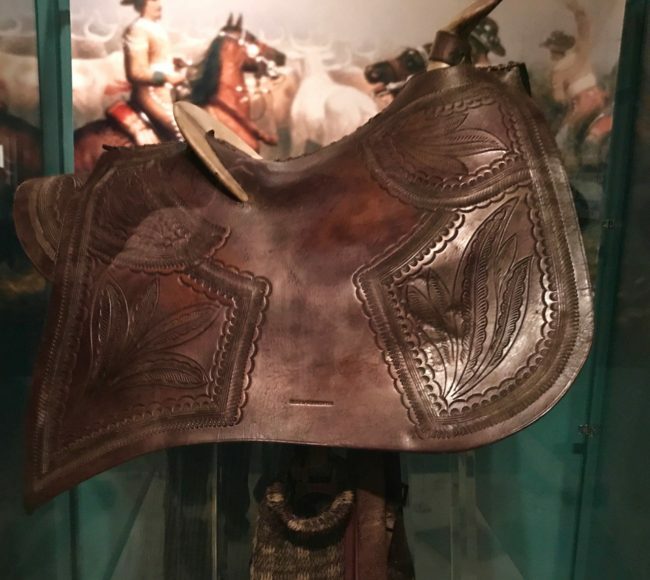 Saddles are on display throughout the museum, including this Pony Express saddle. 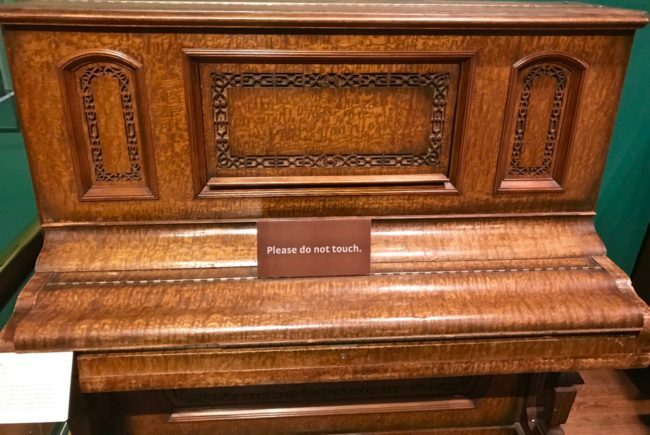 You’ve got mail. 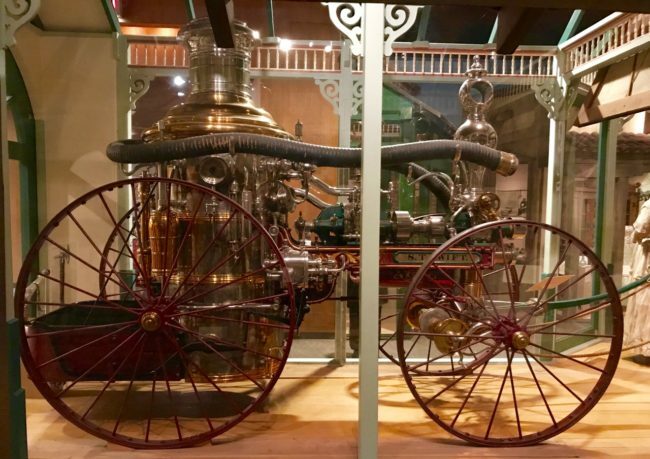 The Silsby Steam Pumper from 1874 was used in Carson City, Nevada, while the Fireman’s Speaking Trumpet (I’d love to have one of those at a San Diego State football game) was used in the late 1800s in Leadville, Colorado. 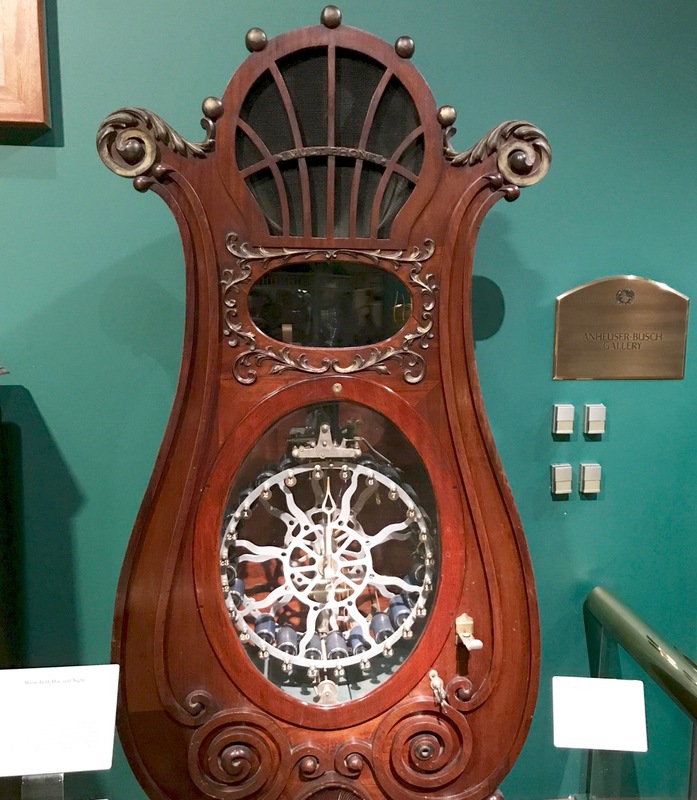 An upright piano from 1896 and a 1915 Edison Multiphone (for a nickel, bar customers “offered a choice of twenty-four cylinder recordings simply by turning a crank”). 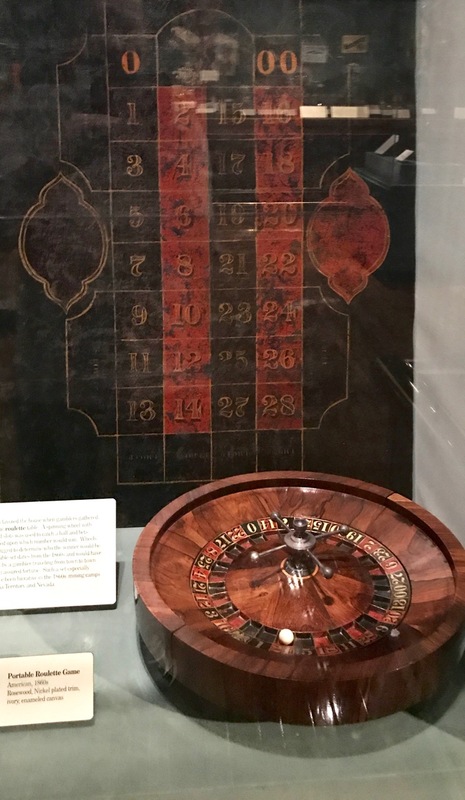 And, of course, what would a saloon be without gambling? 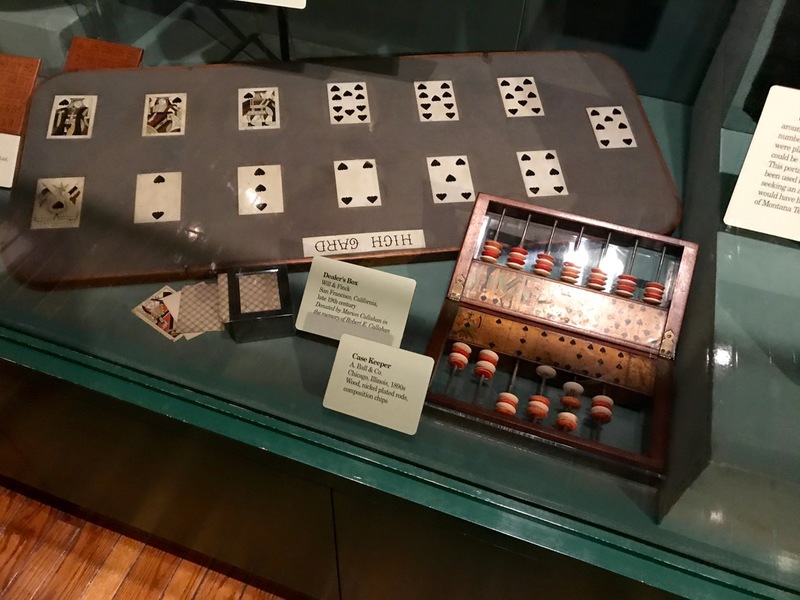 I would have been flushed with excitement with the cards below. 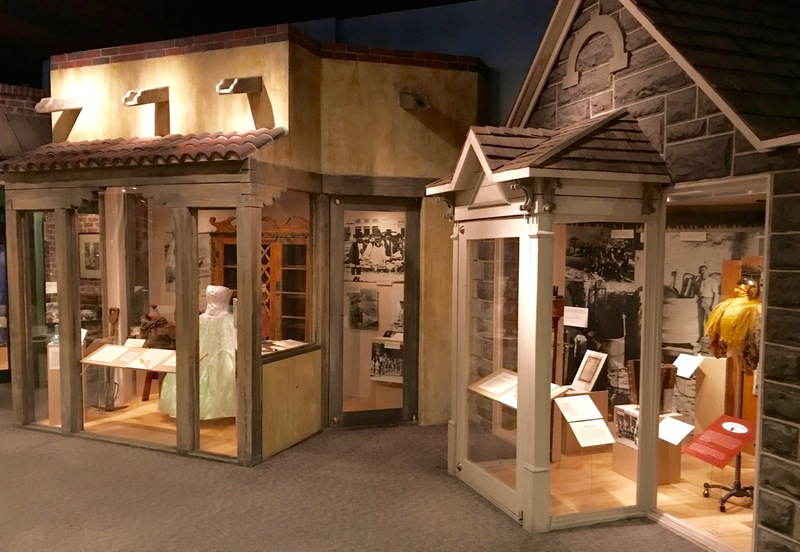 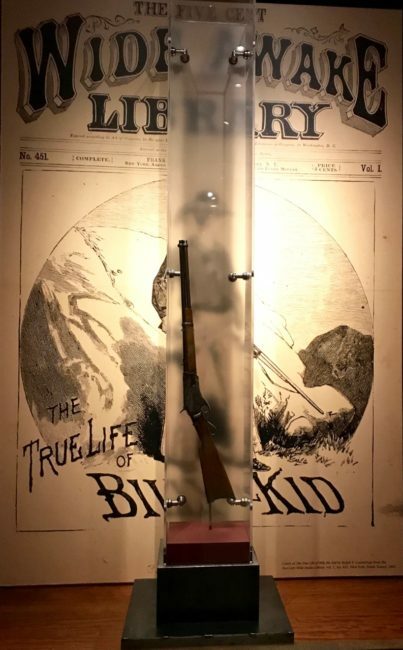 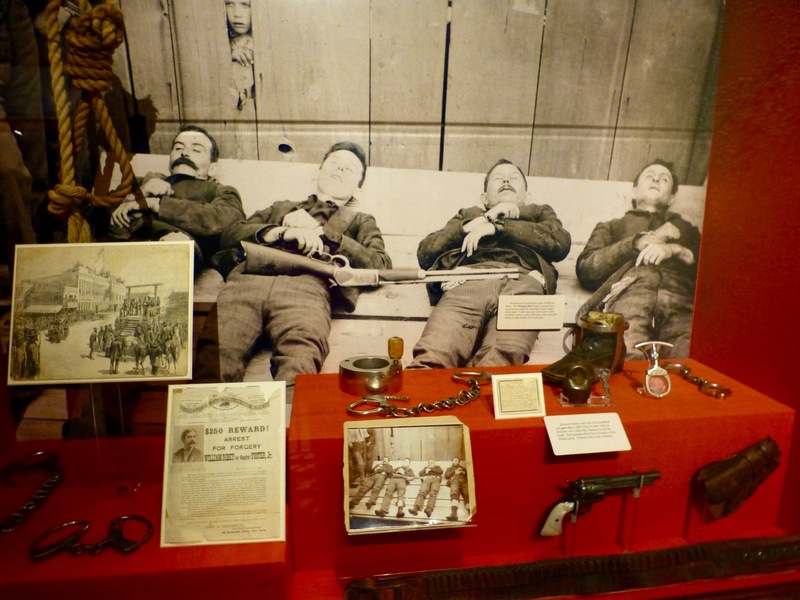 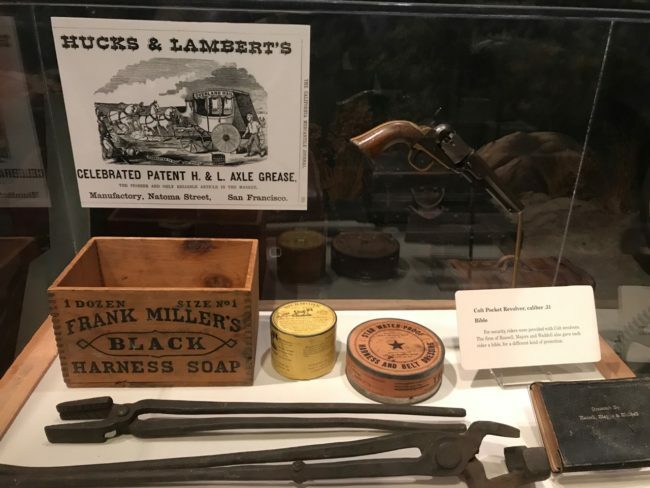 It wouldn’t have been the Wild West without guns, so the Autry features some high caliber rooms and exhibits including this one featuring Billy The Kid and Sheriff Pat Garrett, who shot him dead. 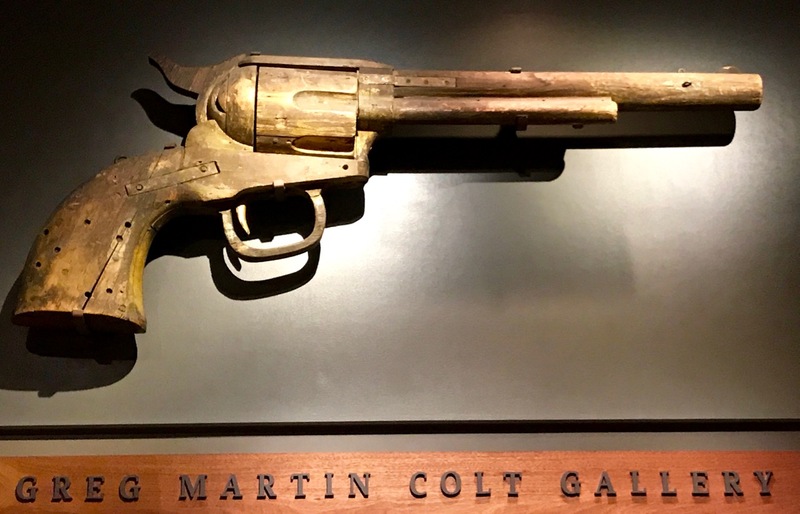 Next stop was The Colt Gallery, but there were no horses to be found… just lots of guns. 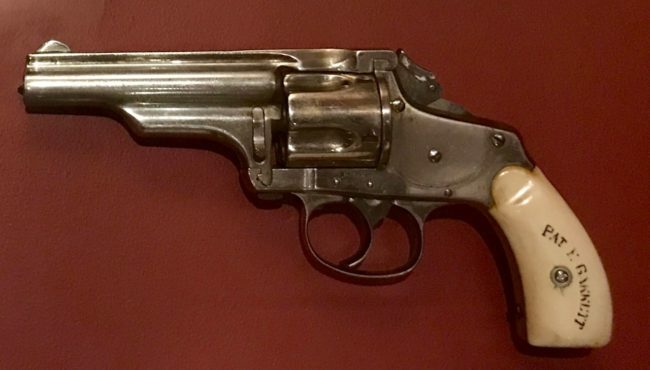 Although not a gun guy, I took a shot at it. It was kind of fun to check out the next photo with the likes of Wyatt Earp and Bat Masterson. In another case saw a .44 Magnum. I thought about breaking the case, but then I heard a voice say, “…being this is a .44 Magnum, the most powerful handgun in the world, and would blow your head clean off, you’ve got to ask yourself one question: ‘Do I feel lucky?’ Well, do ya, punk?” I thought better and moved on. …and coming up against this gun would have been a close shave. 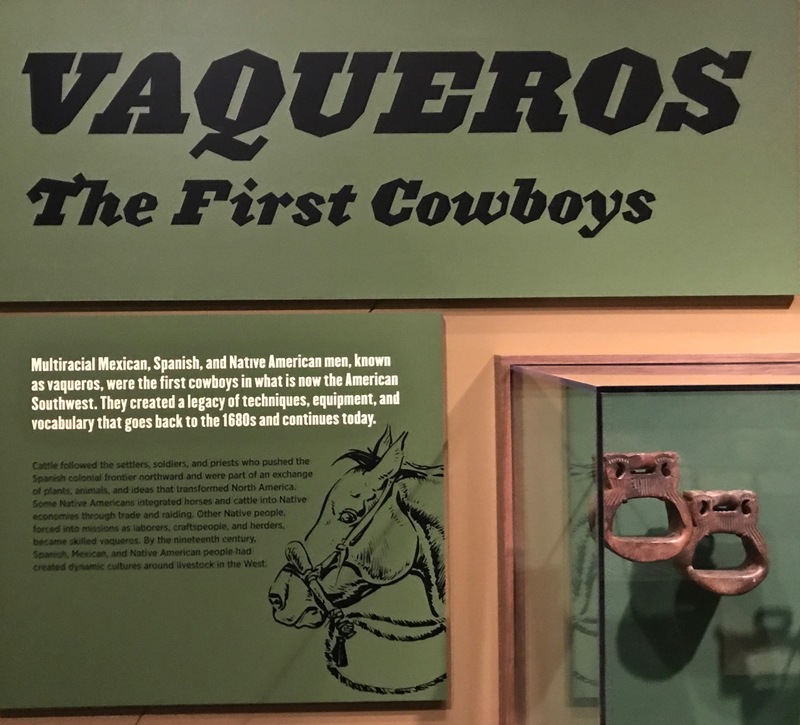 There were stories about Vaqueros, and yet another saddle. It was nearing lunchtime. 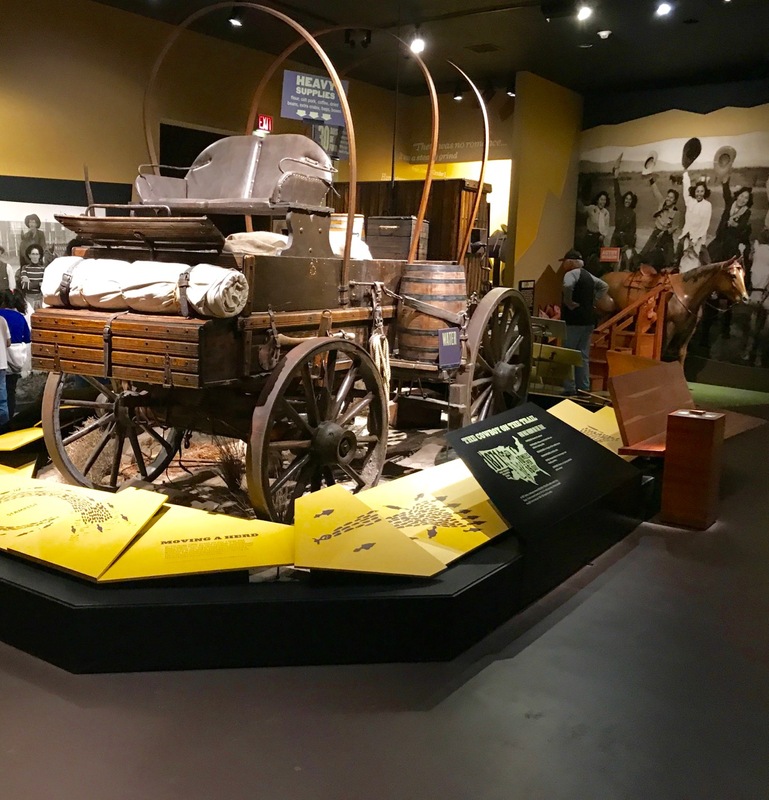 Low and behold right in front of me stood the Chuckwagon. It looked like the food was a little old, so I decided to move on. 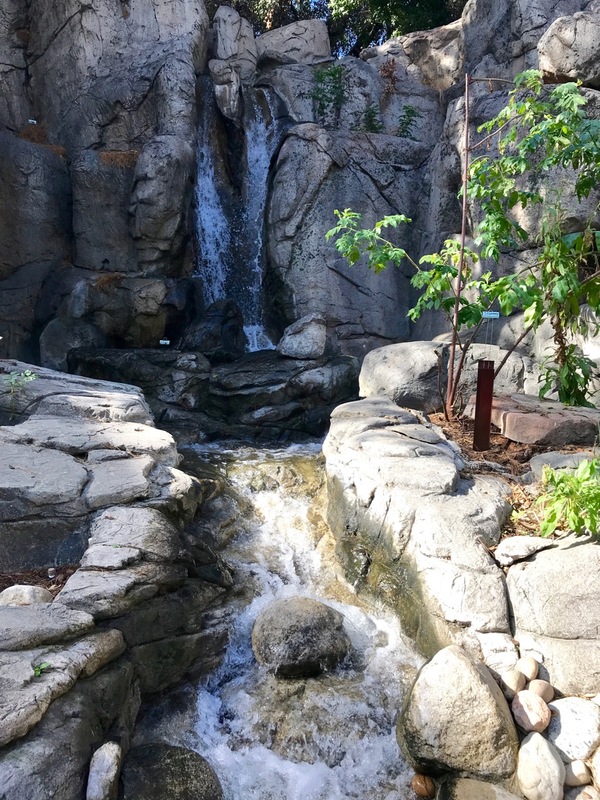 Before heading up the stairs to my final (and favorite) exhibits, I checked out the garden they put in during their last renovation. 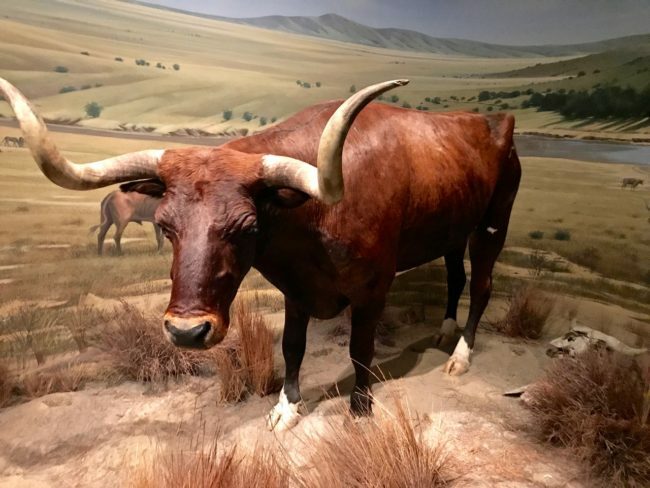 To me, anyway, this was the least interesting spot at the Autry. 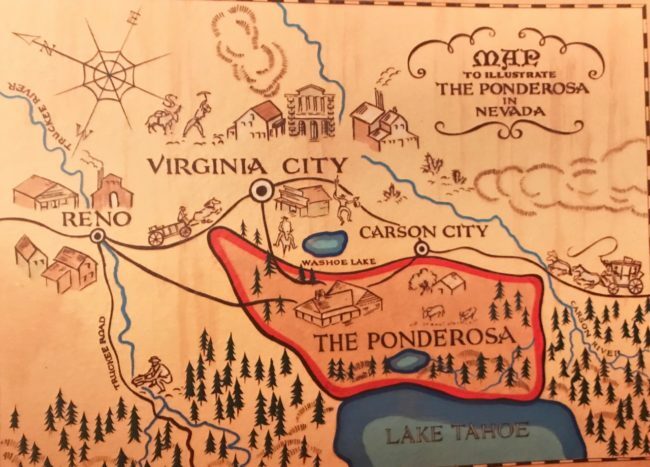 I’m not into plant varieties, but if you are, you might find this area interesting. 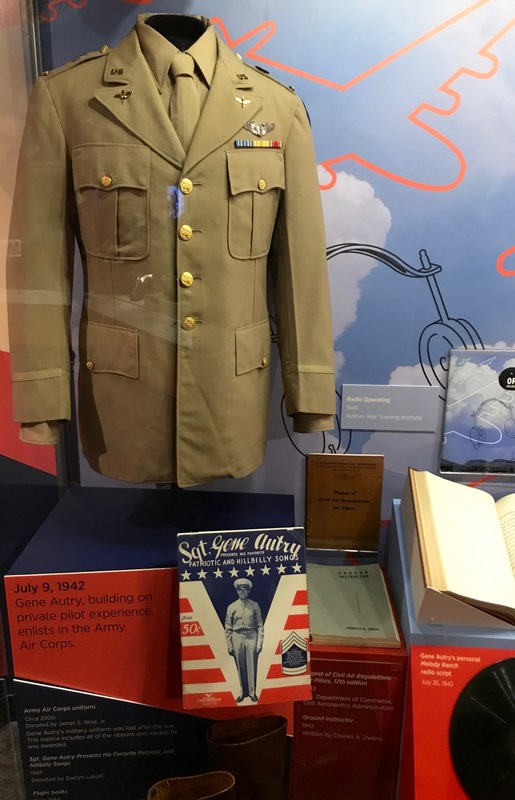 …there was a display chronicling Autry’s time spent in the armed service as a member of the Army Air Corps. 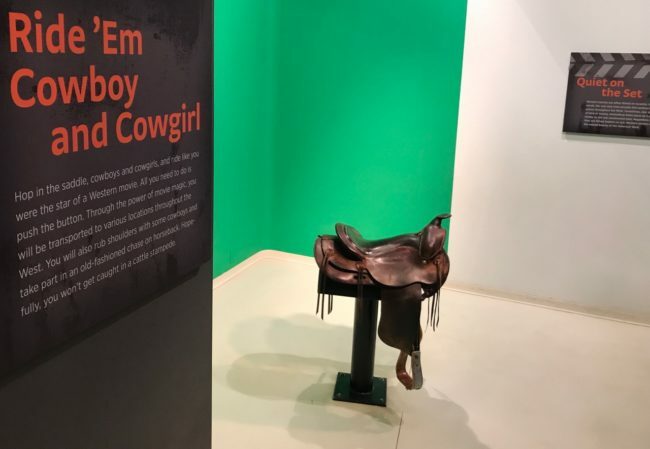 So you wanna be a cowboy or cowgirl? 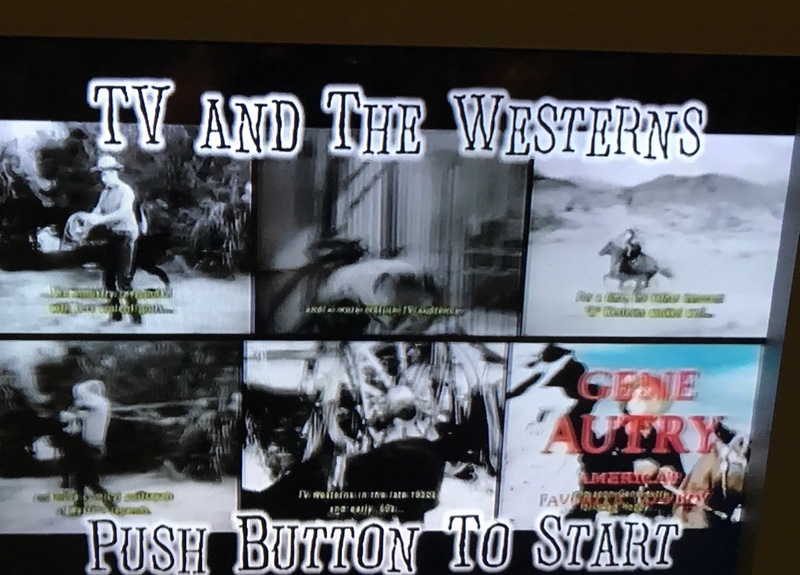 At the Autry you can don an outfit and hop on a stationary saddle, push a button and suddenly you’re in a movie complete with the theme from The Lone Ranger. 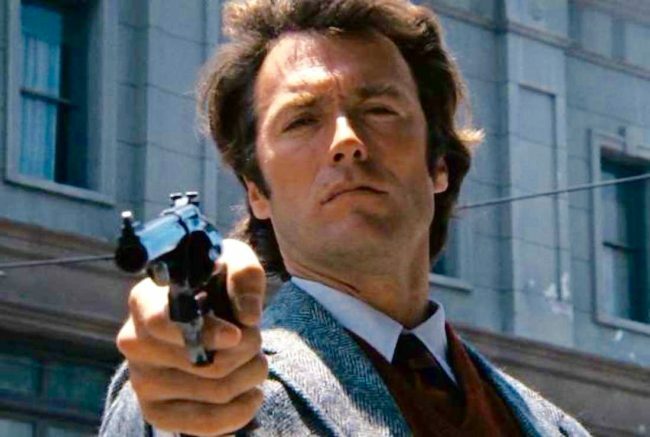 I did this about four years ago (no music then), and Tracy has used that video to blackmail me for years. 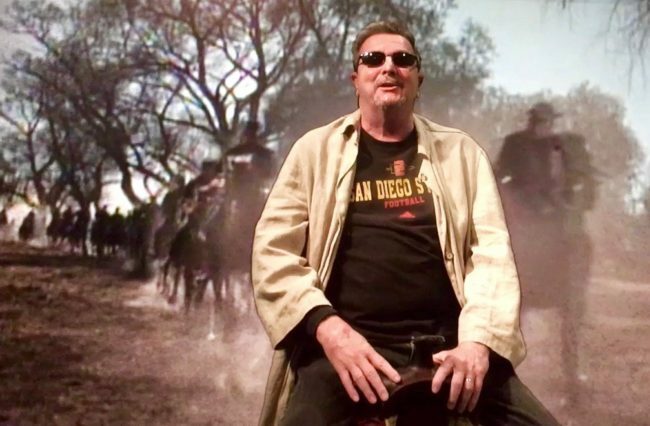 I called myself, “The Aztec Cowboy.” Here’s a still taken from that fateful day. I’m a movie and television poster freak, so this area is my favorite of the Autry Museum. 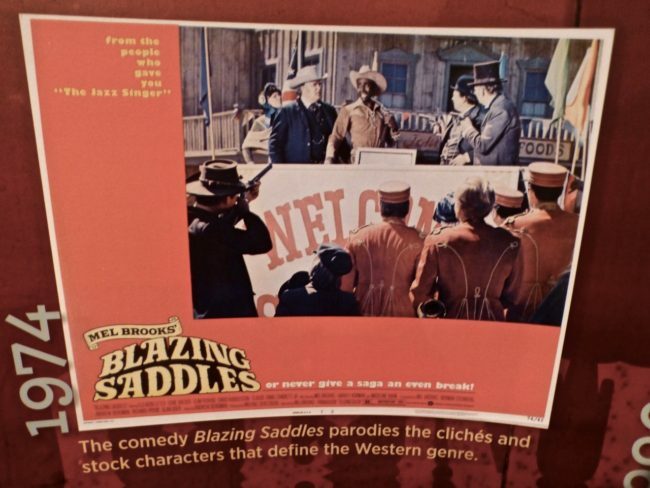 I could have stayed here just admiring posters, but after checking out how they made all those sounds (well, not the farting sounds in Blazing Saddles), I moseyed on over to the next part of this gallery. 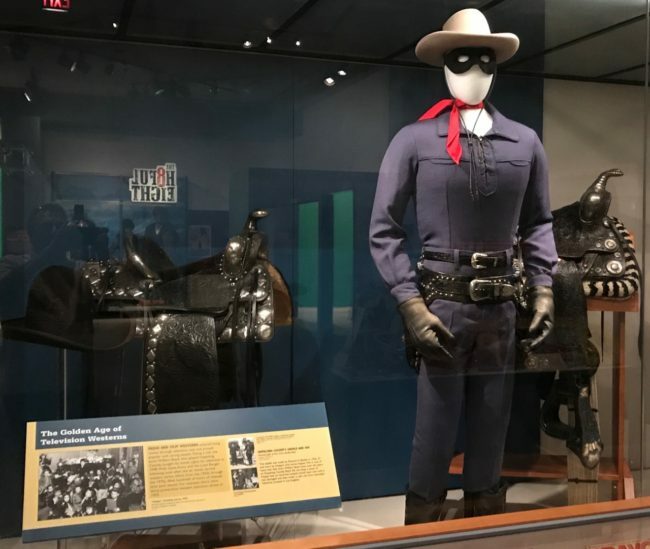 One of my favorite TV shows growing up was The Lone Ranger, and there were he and Tonto, plus the Lone Ranger’s costume. Who was that masked man? 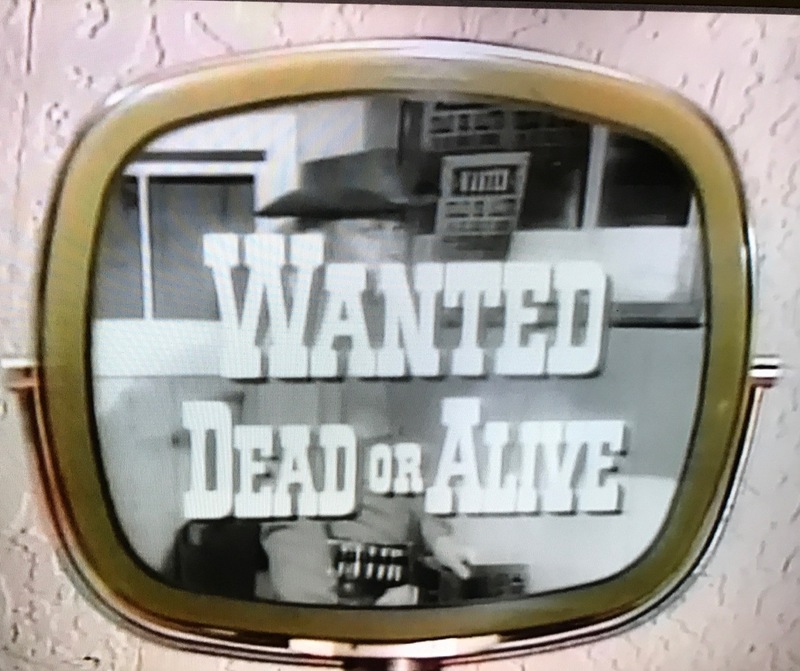 The Lone Ranger wasn’t the only western I watched growing up, and in this TV Cowboys area, I pushed a button and suddenly I was hanging out with Bat Masterson (Gene Barry), Wyatt Earp (Hugh O’Brien), The Rifleman (Chuck Connors) and bounty hunter Josh Randall (Steve McQueen) in Wanted Dead or Alive. It was certainly nostalgic looking back at these clips. 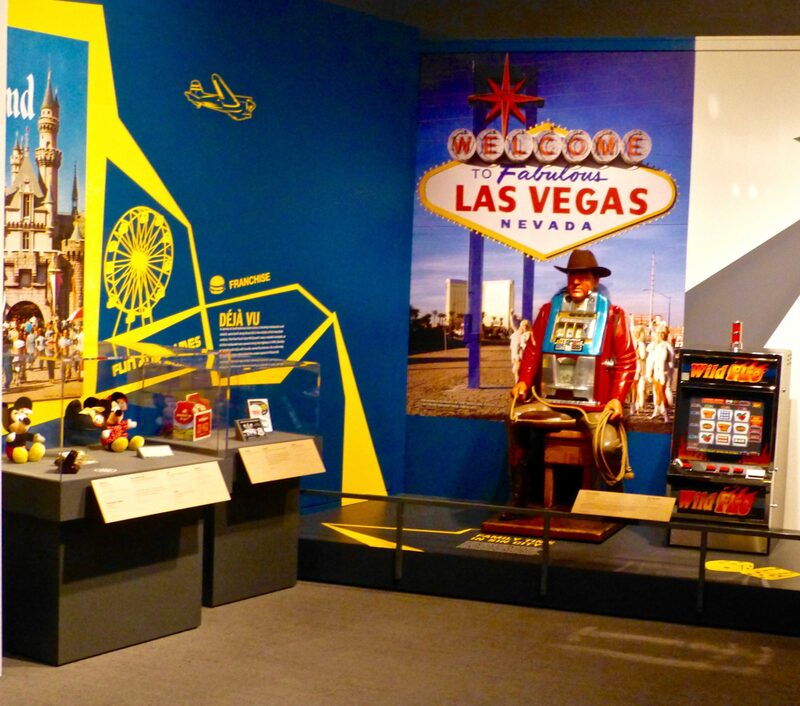 … and there lots of games and toys for kids to emulate and play with their heroes. 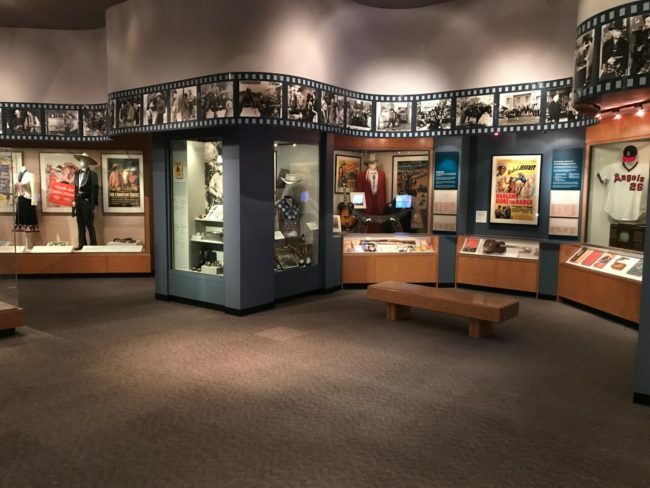 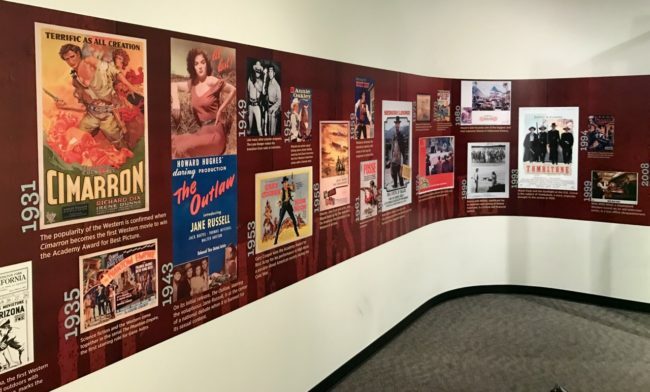 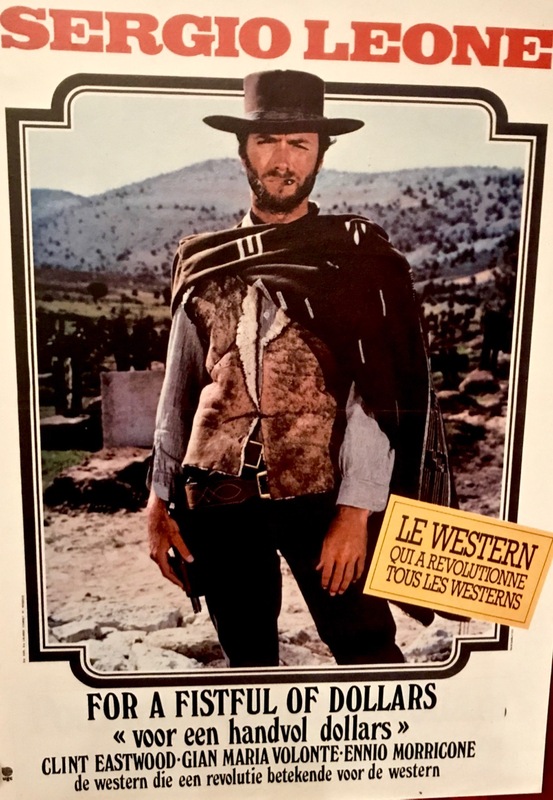 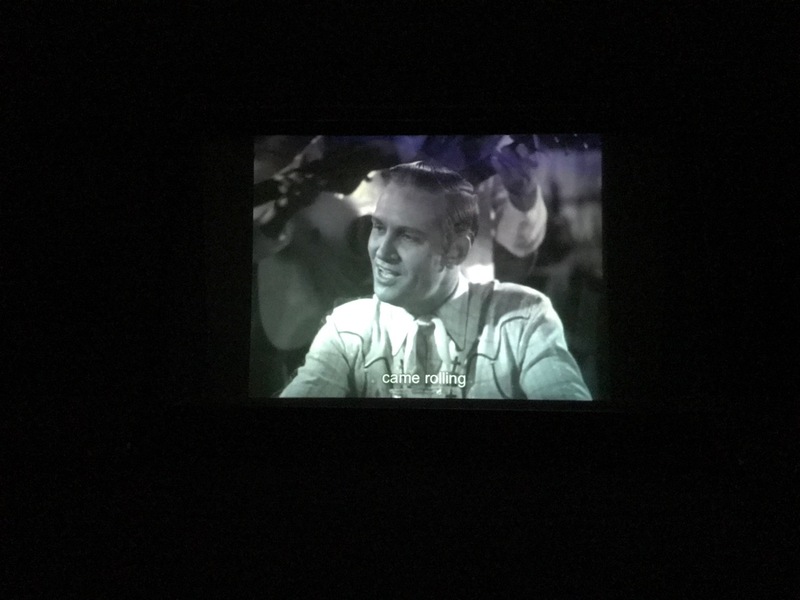 As you stroll through these galleries, filmstrips on top show scenes from your favorite westerns. 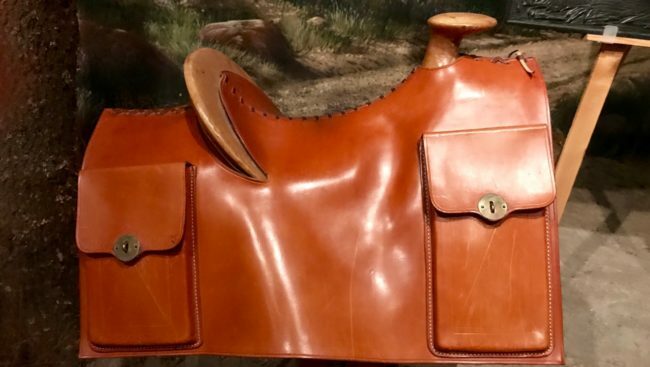 Saving the best saddle for last, I saw The Big Saddle, which took approximately 14 years to complete. 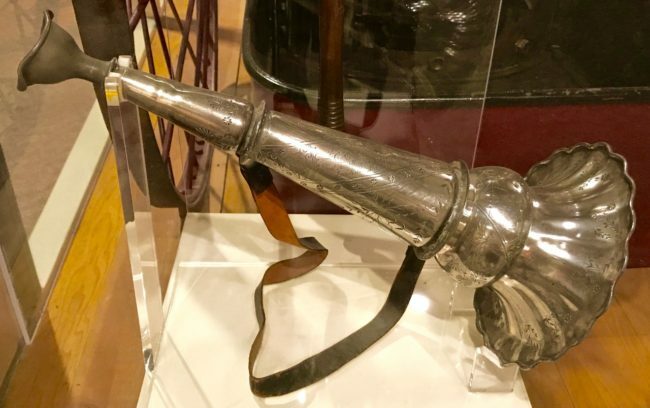 This bad boy weighs 70 pounds, so I assume horses headed for the hills when they saw this coming out of the barn. 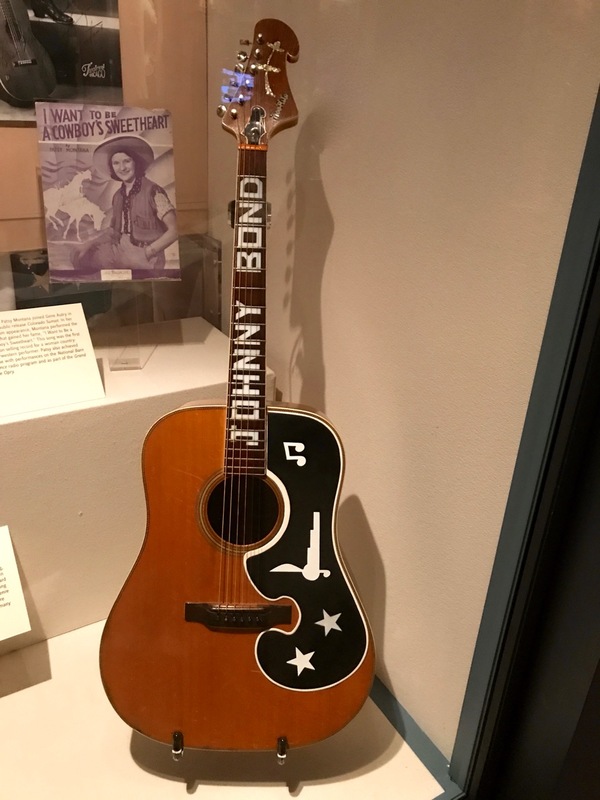 There were also an array of guitars, including this one belonging to Johnny Bond. 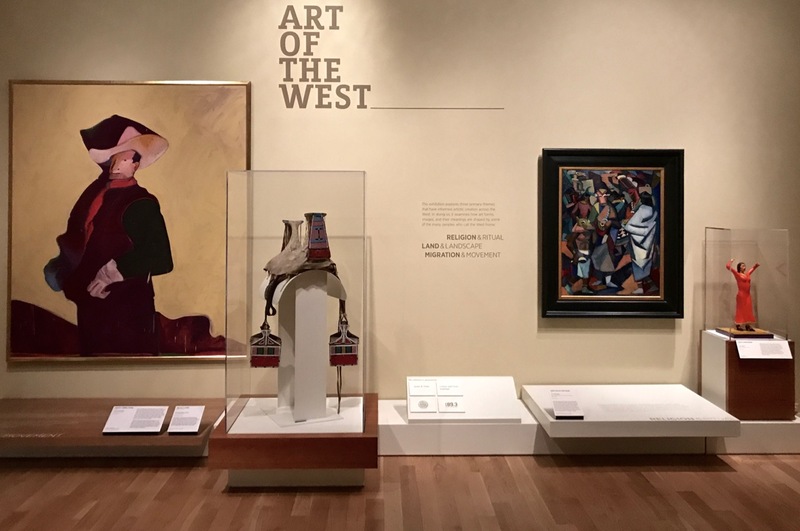 It wouldn’t be a cowboy gallery without Roy and Dale. I knew then it was about time to say Happy Trails to the Autry Museum. 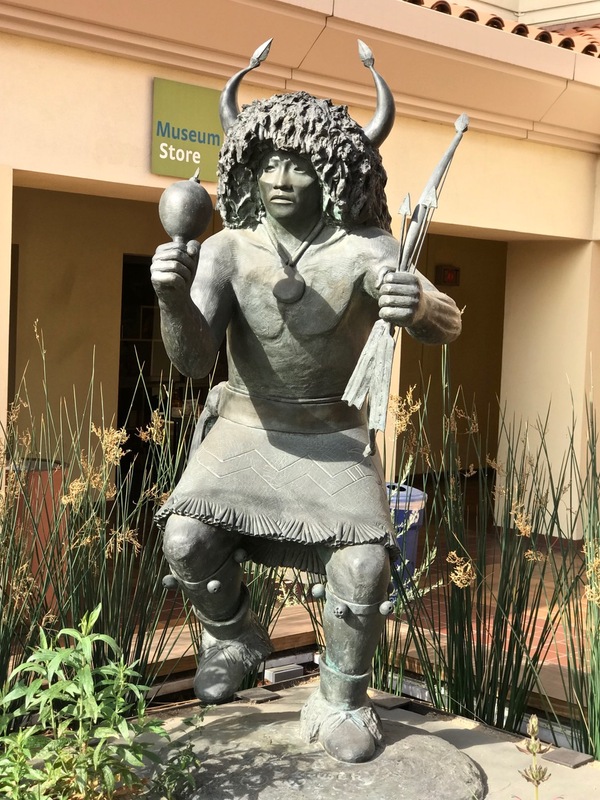 Back out in front, I saw one last sculpture (of a Chiricahua Apache) I had missed. 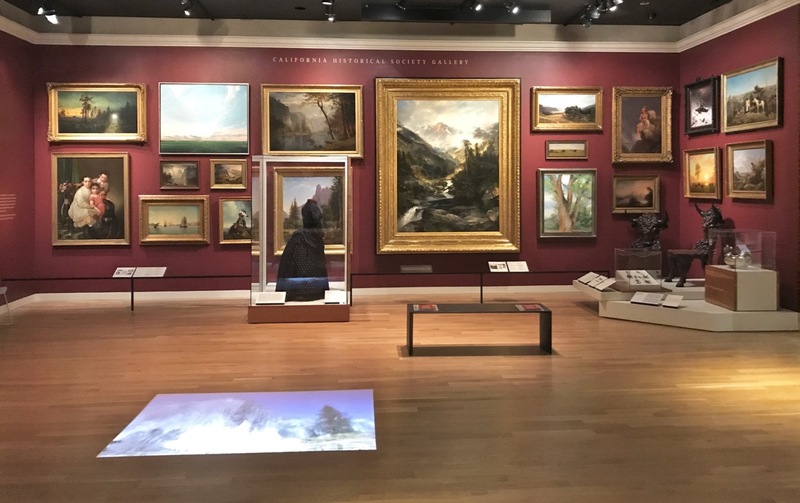 Usually, I get in and out of museums fairly quickly, but when I looked at my phone, I had spent nearly two hours meandering around here. I saw lots of kids having great fun here, and by the time I got outside a ton of school buses were in the parking lot. 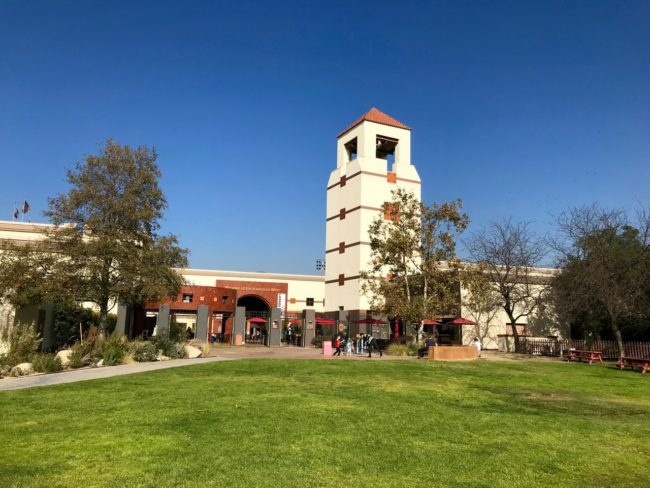 If you want a bite to eat afterwards, you can head on over to the Crossroads West Cafe in the Museum plaza. … and you really should pay a visit. 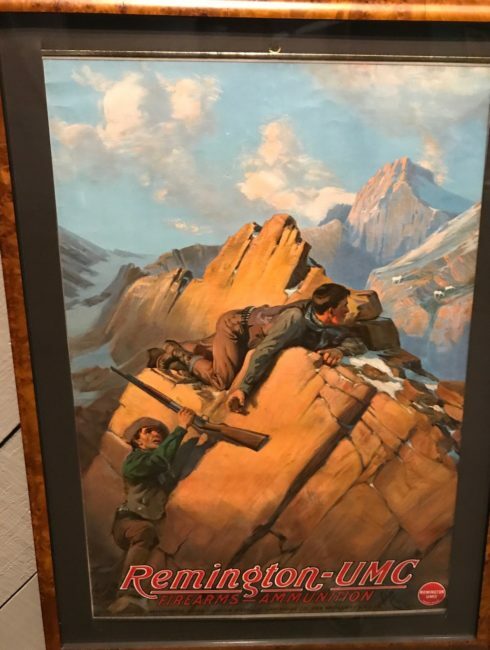 I mean you really don’t want to end up like these guys.